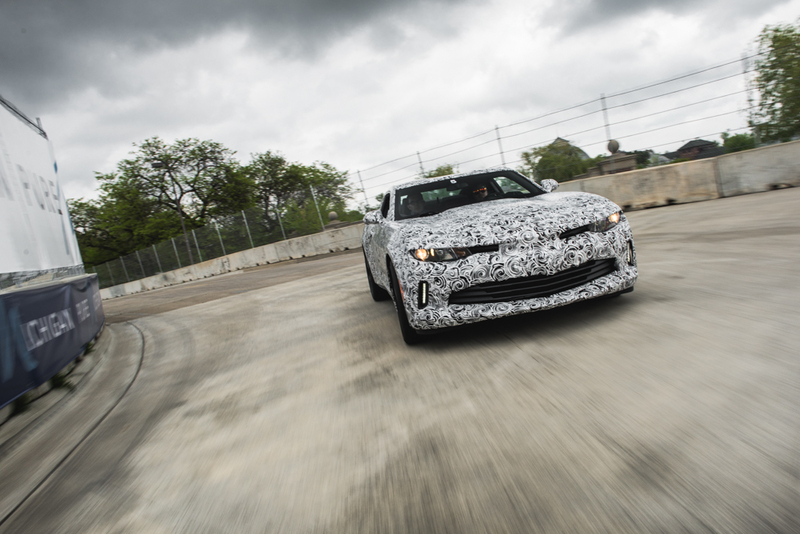 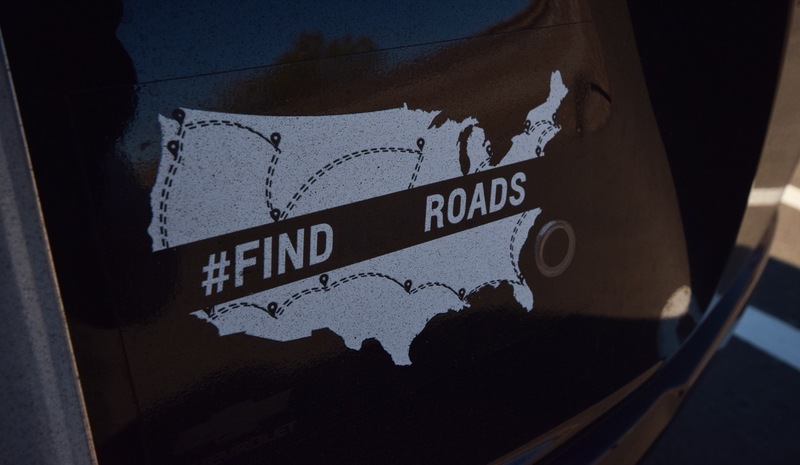 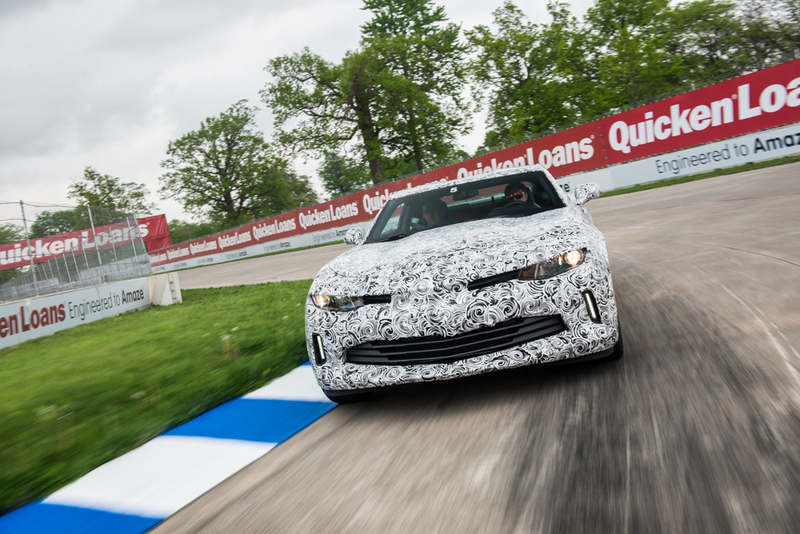 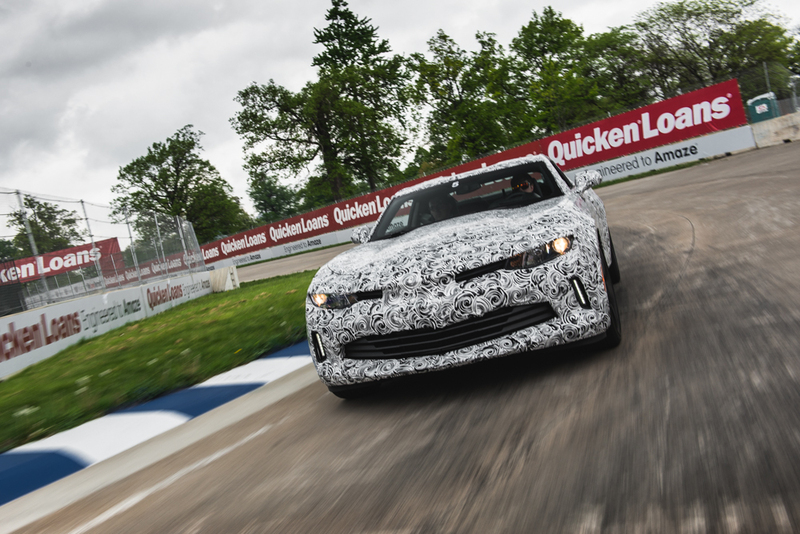 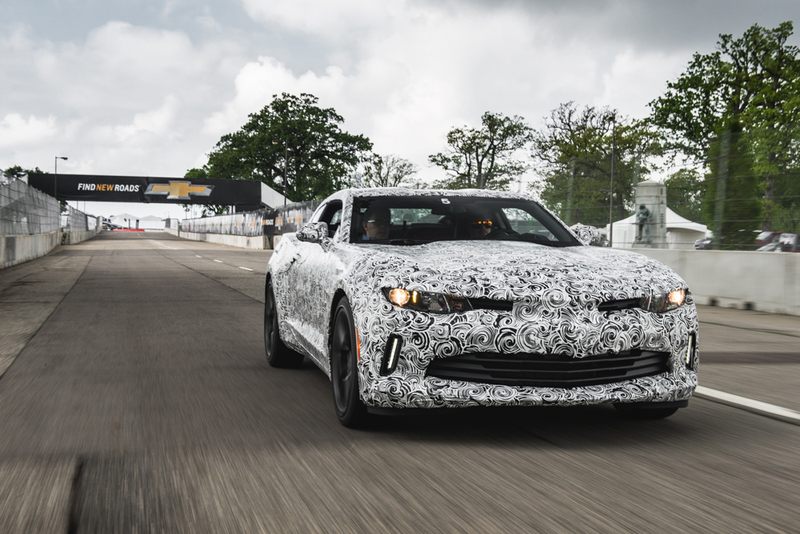 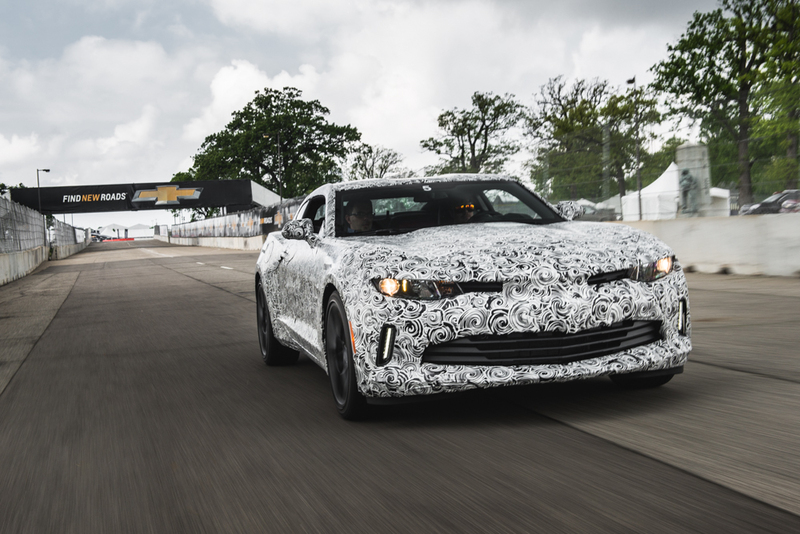 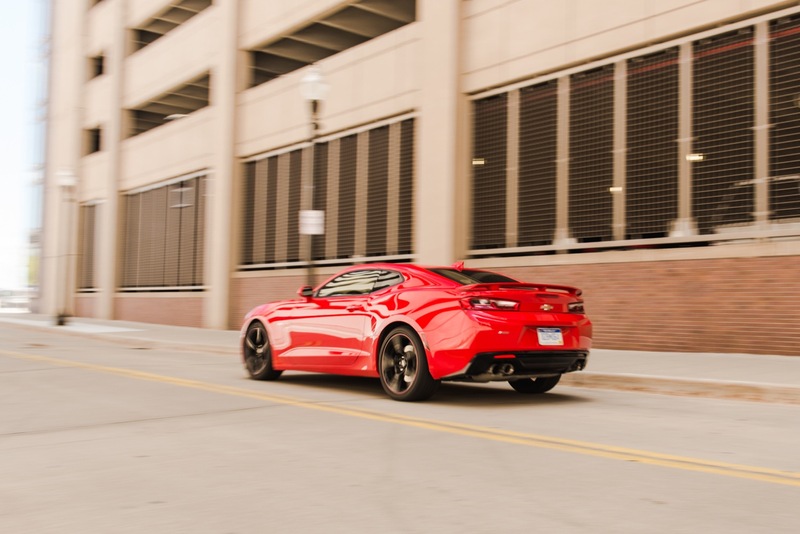 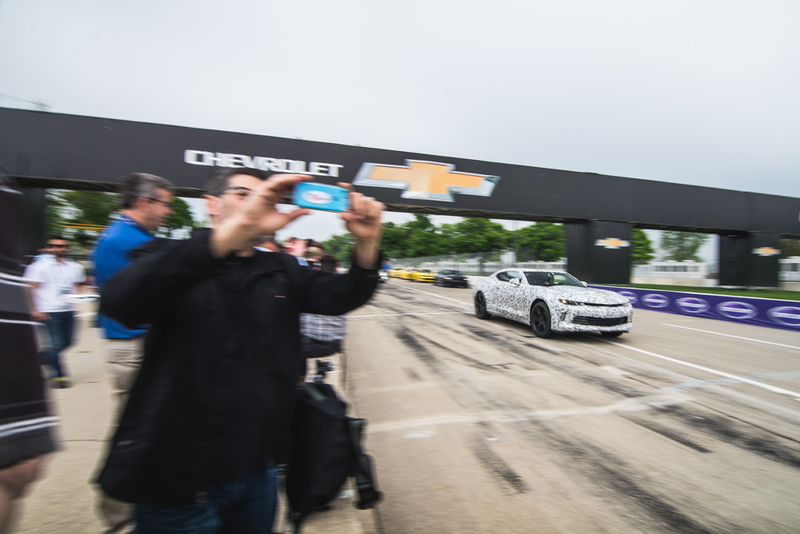 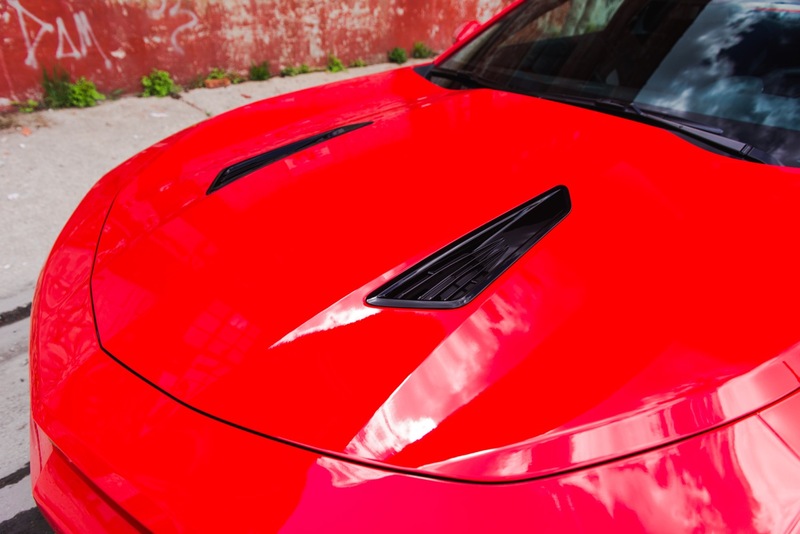 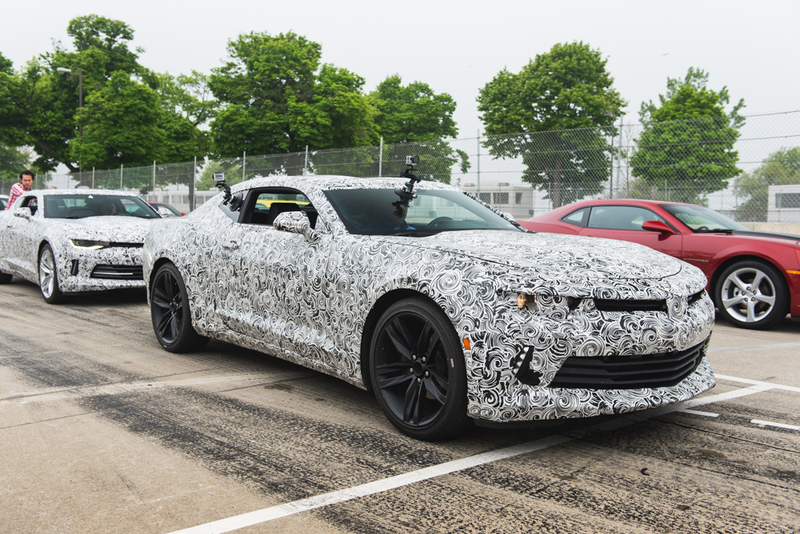 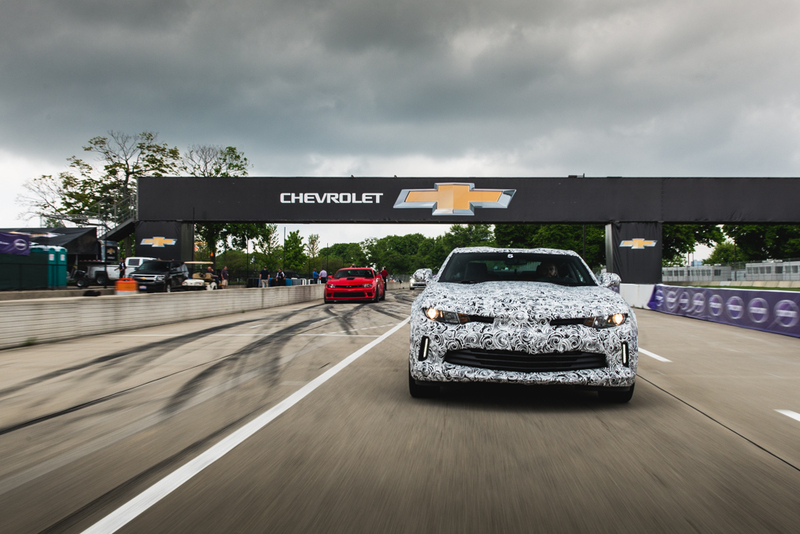 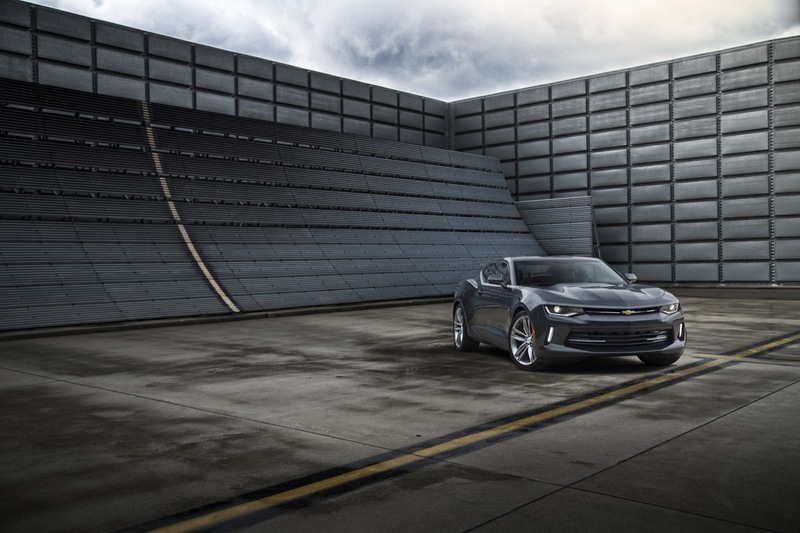 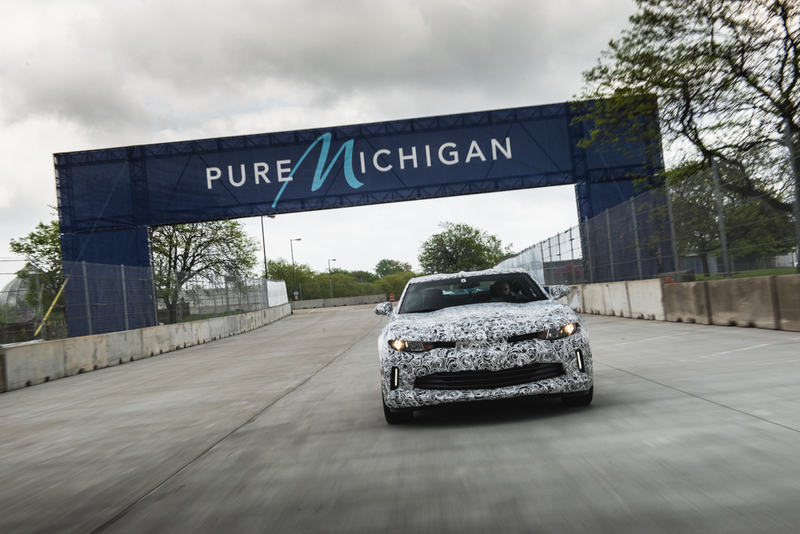 In just a month’s time, you could see the 2016 Chevrolet Camaro popping up on dealership lots in regions near Lansing, Michigan. 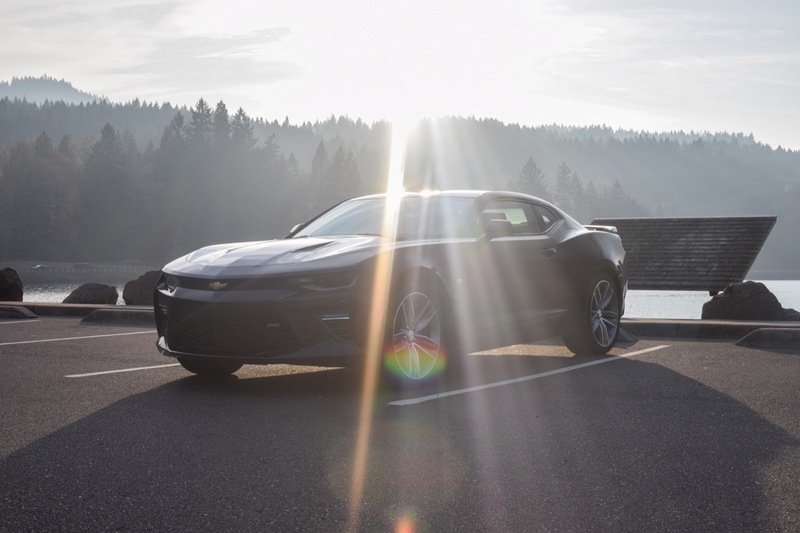 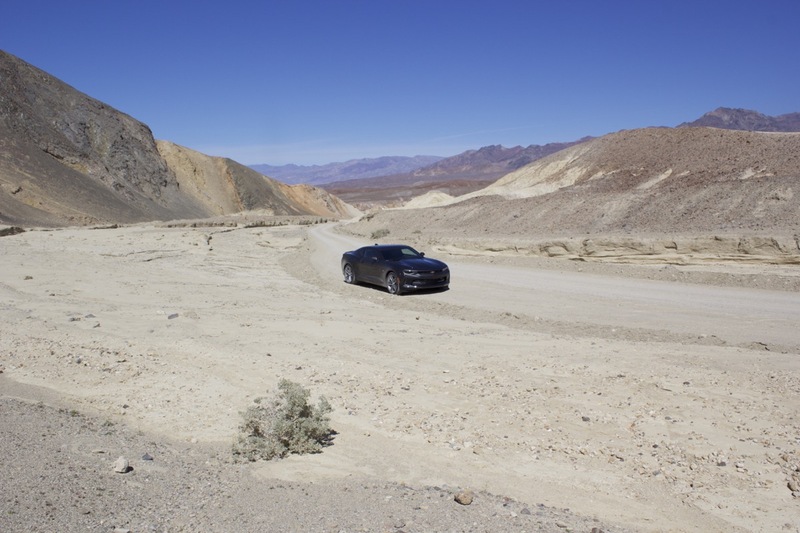 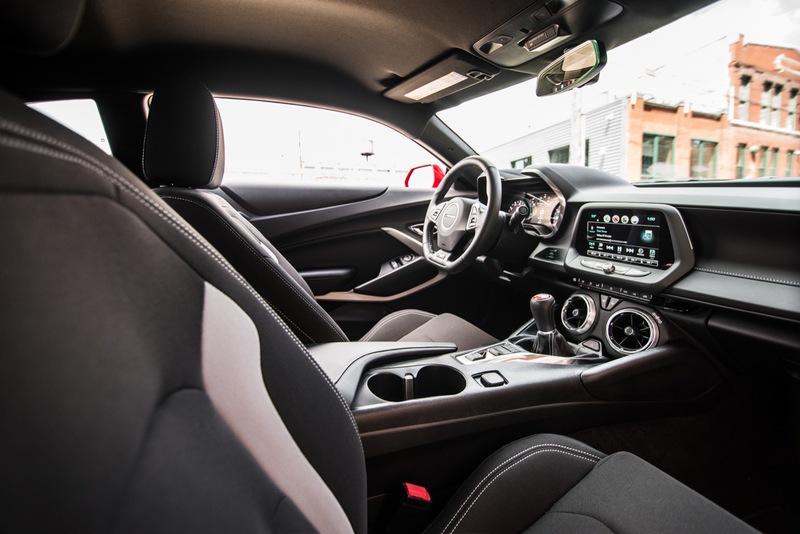 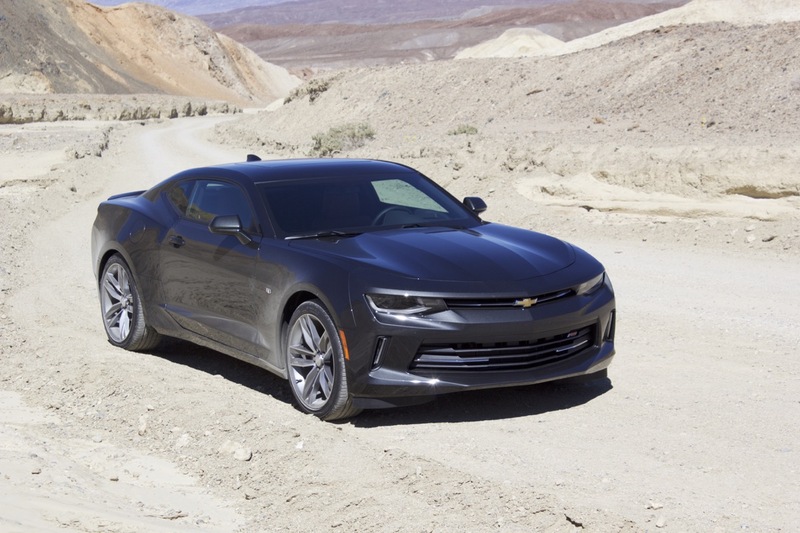 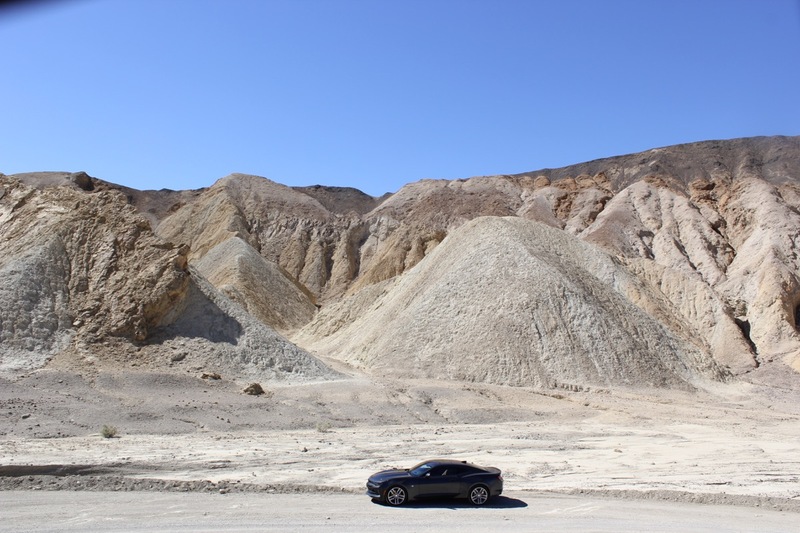 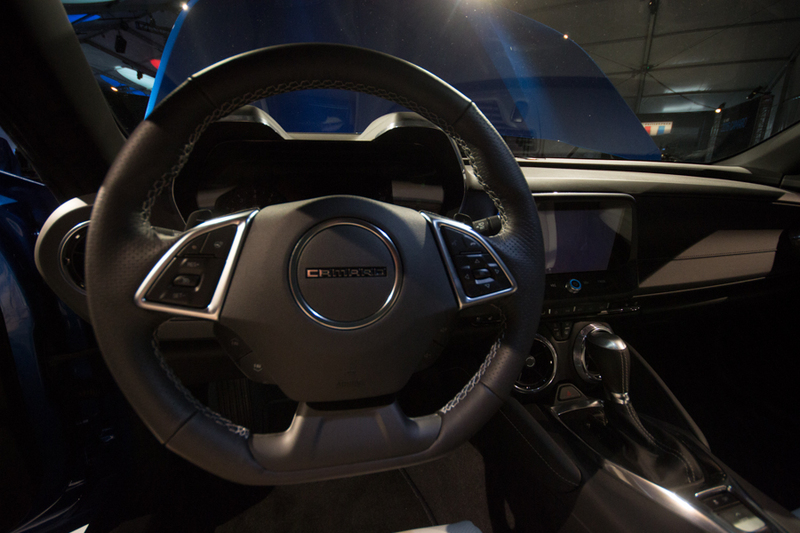 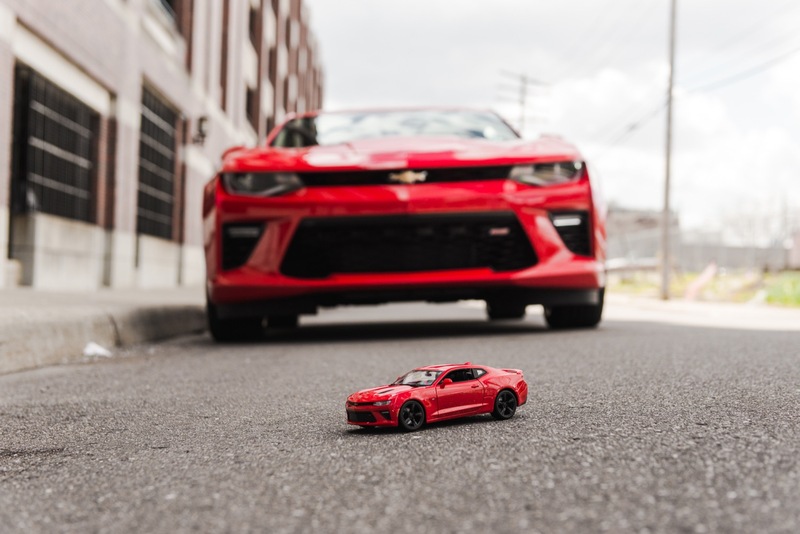 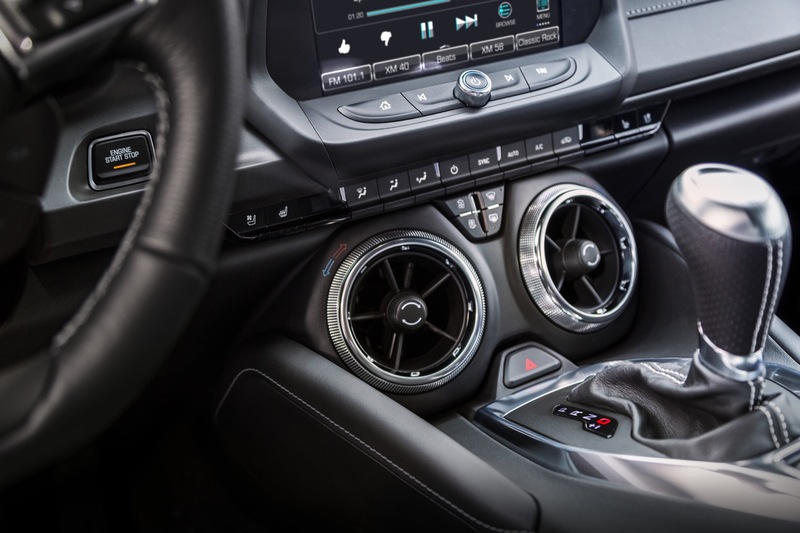 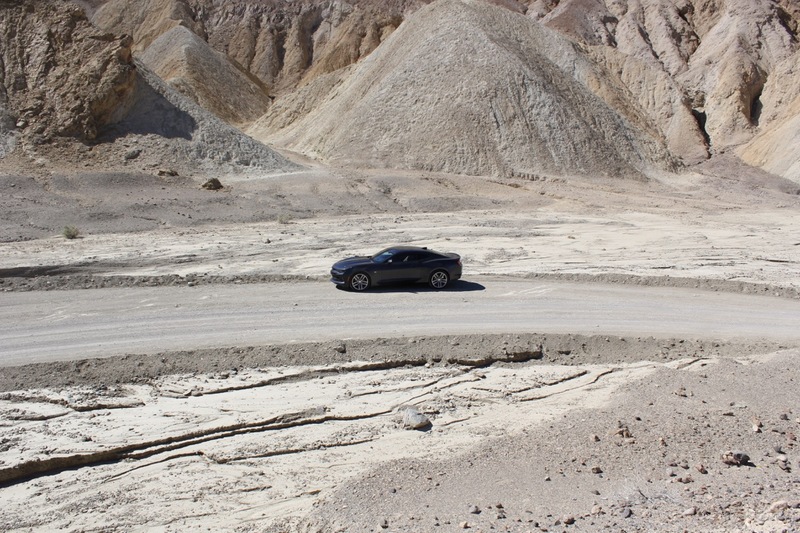 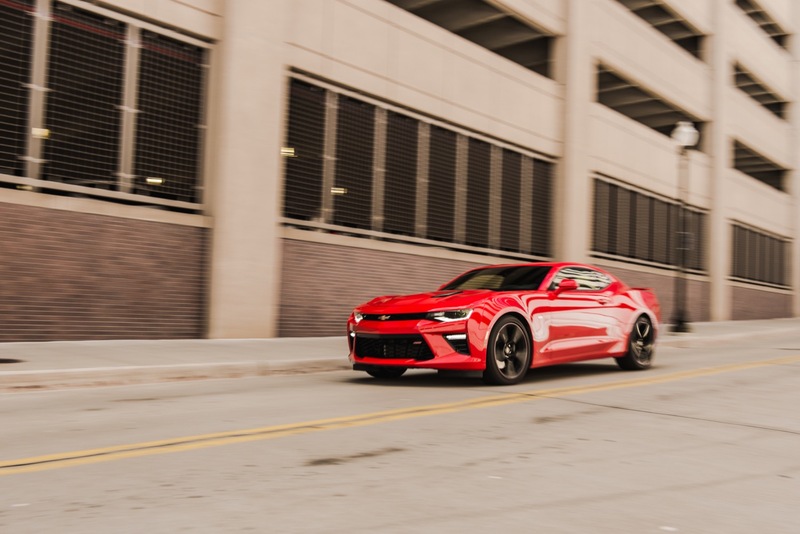 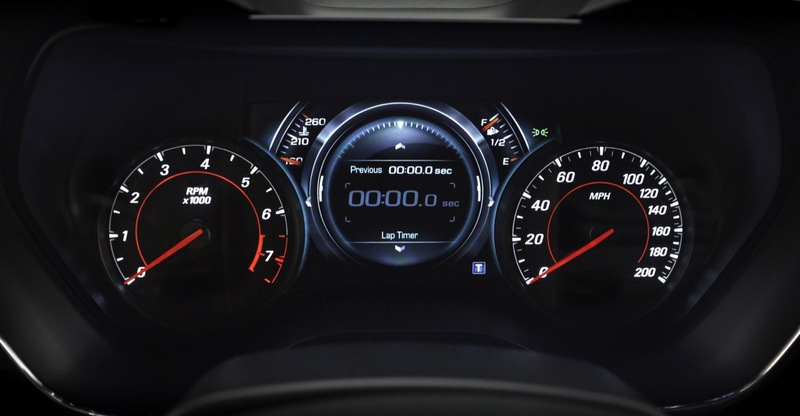 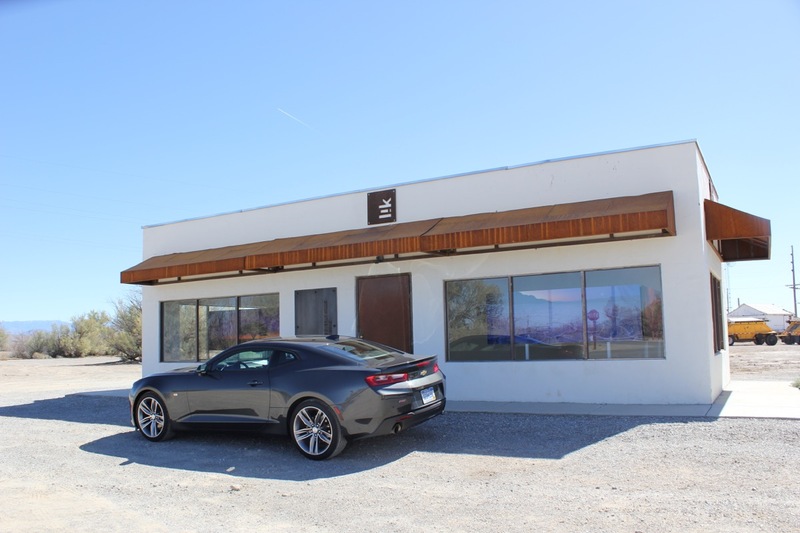 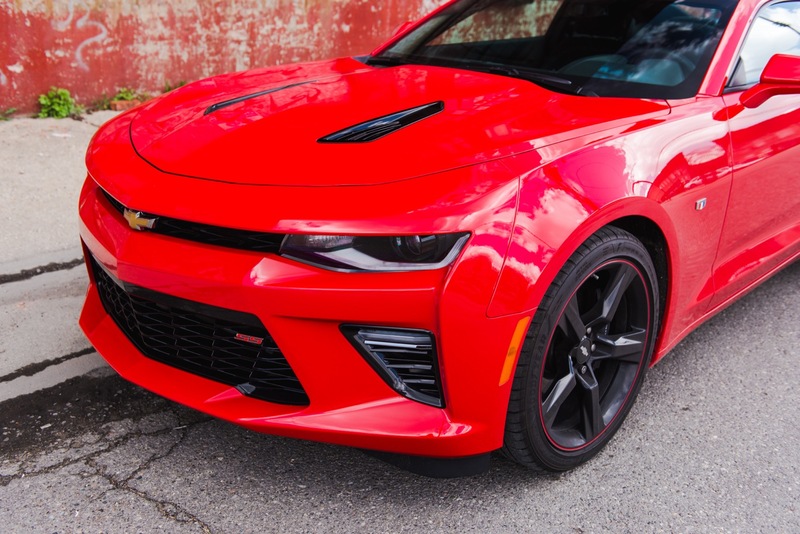 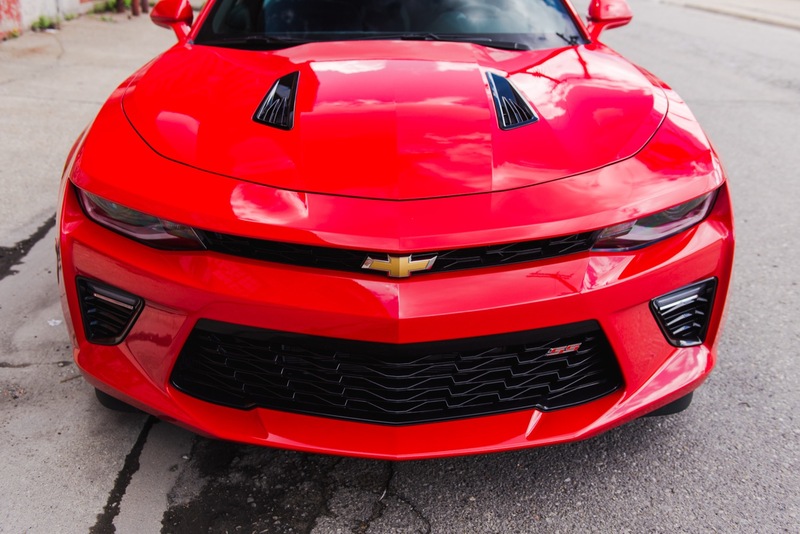 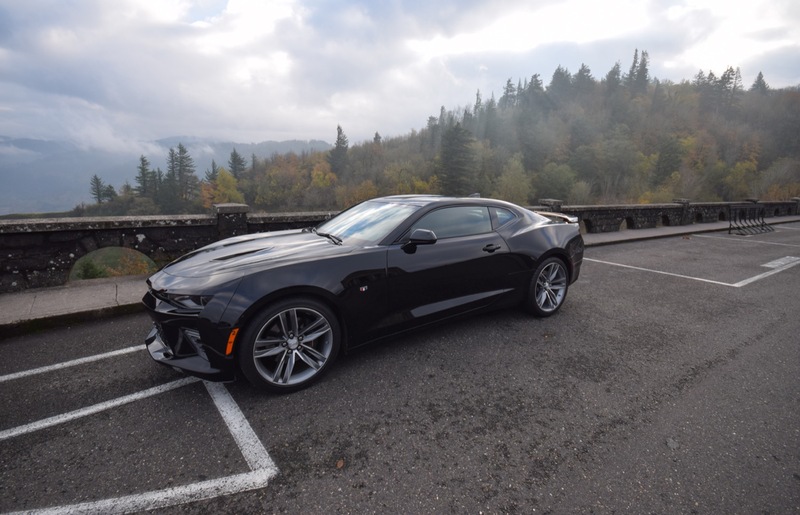 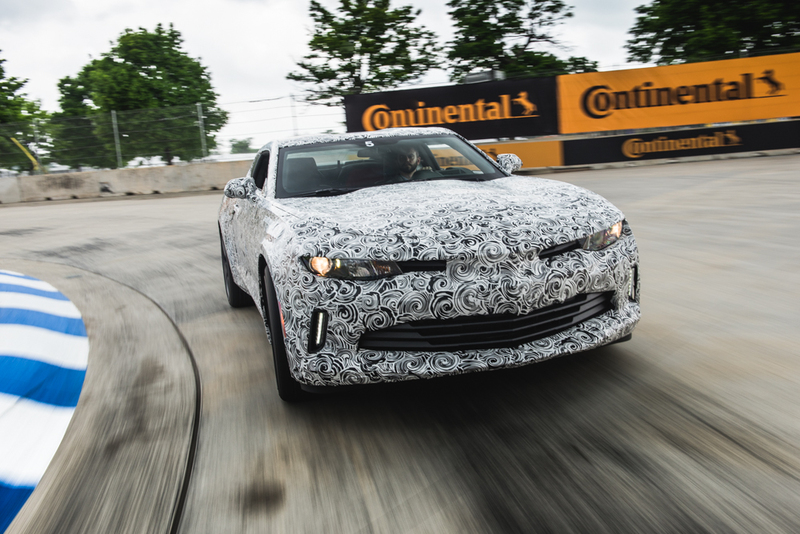 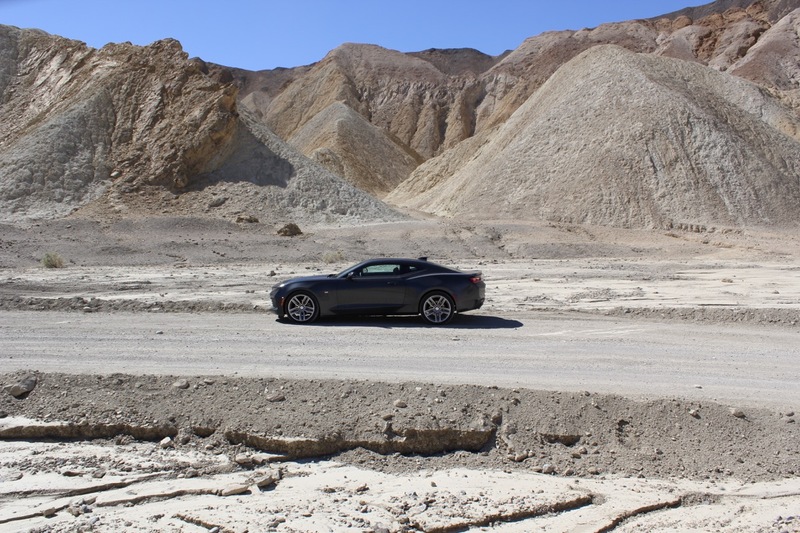 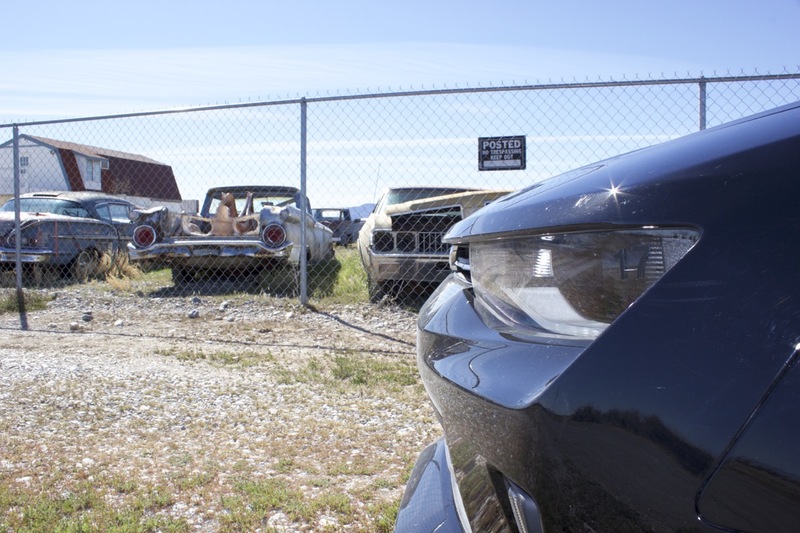 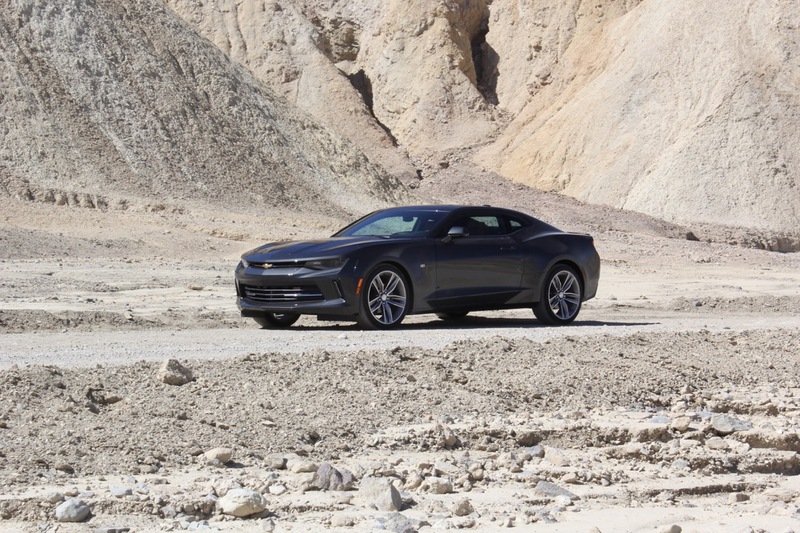 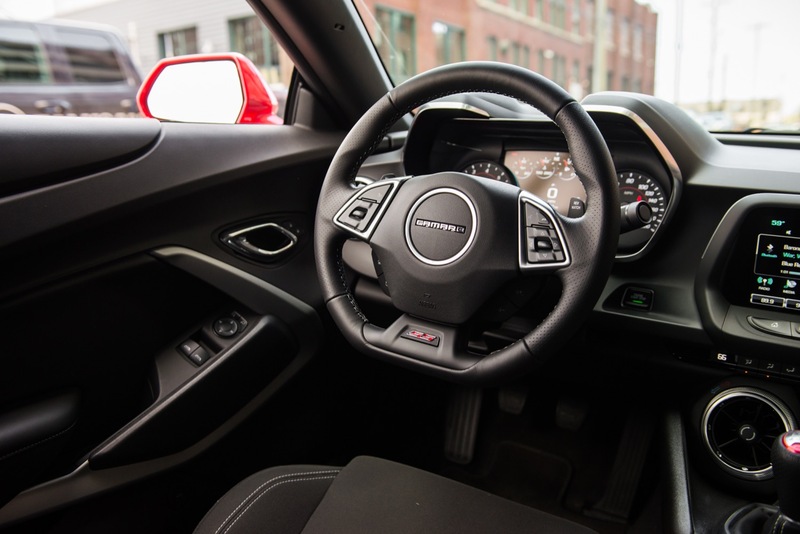 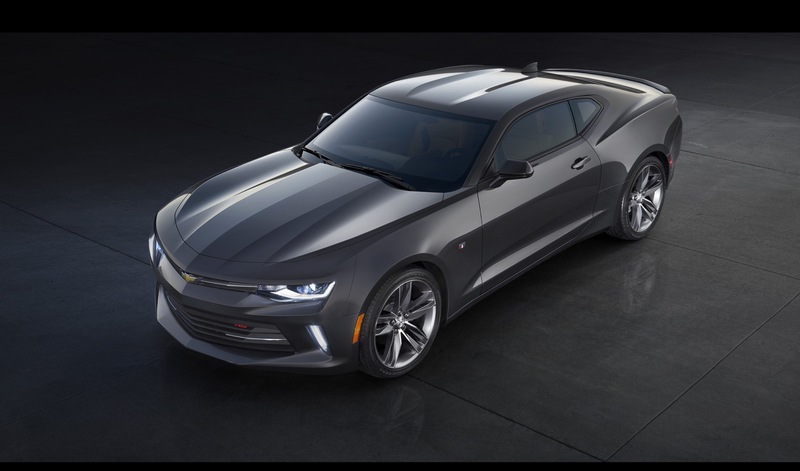 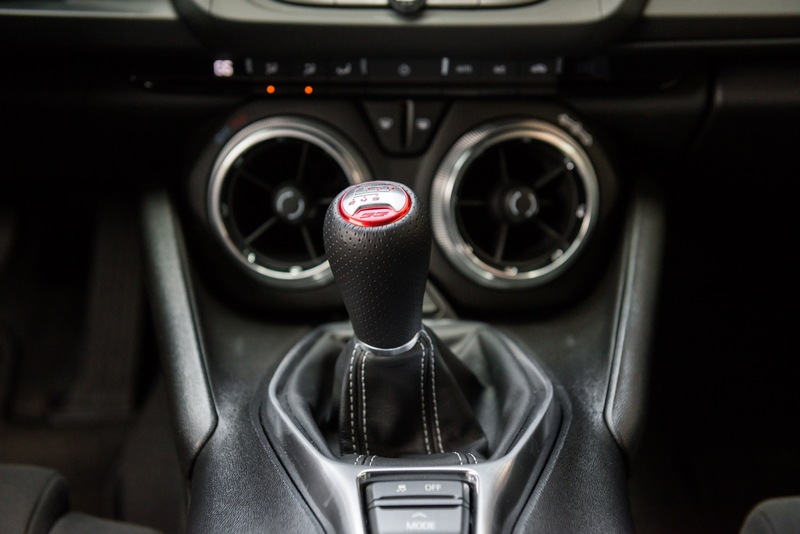 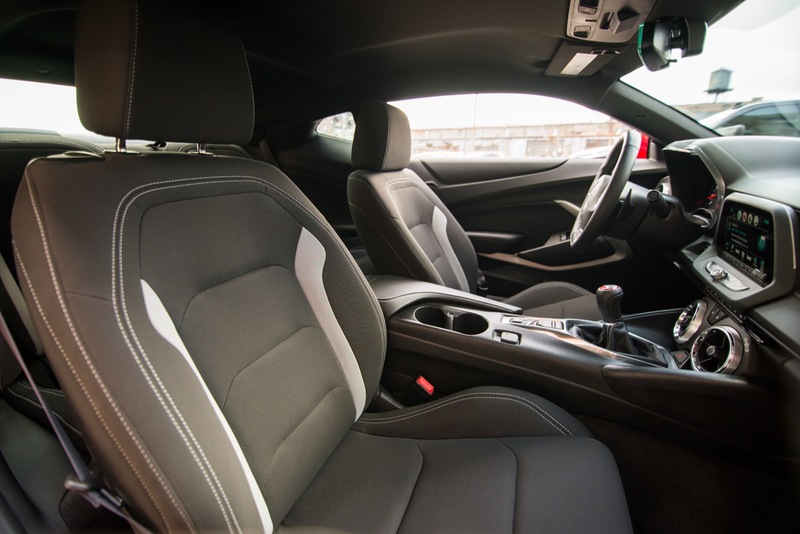 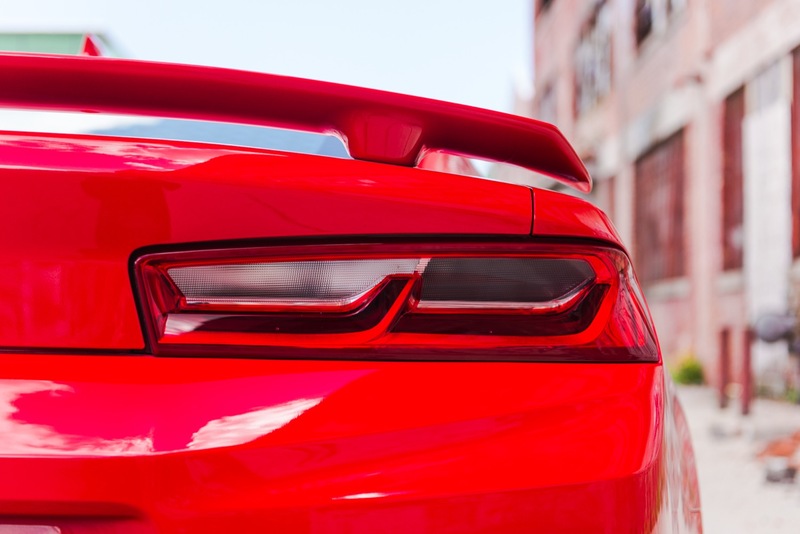 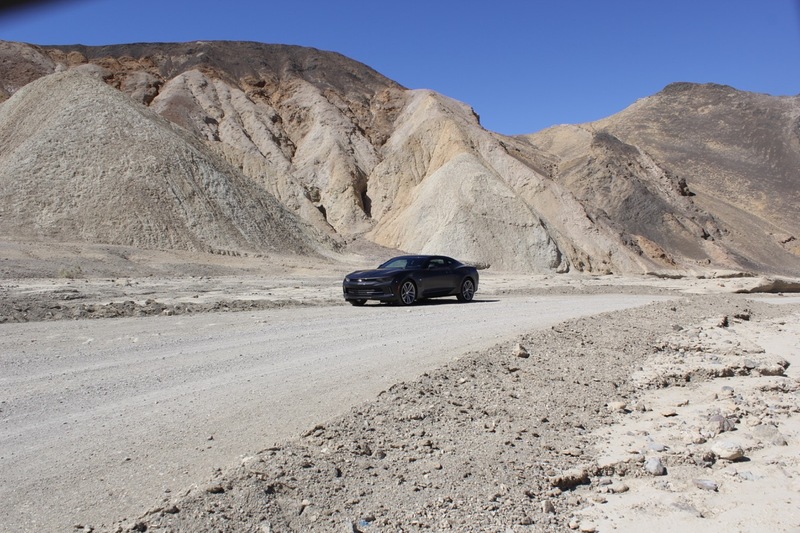 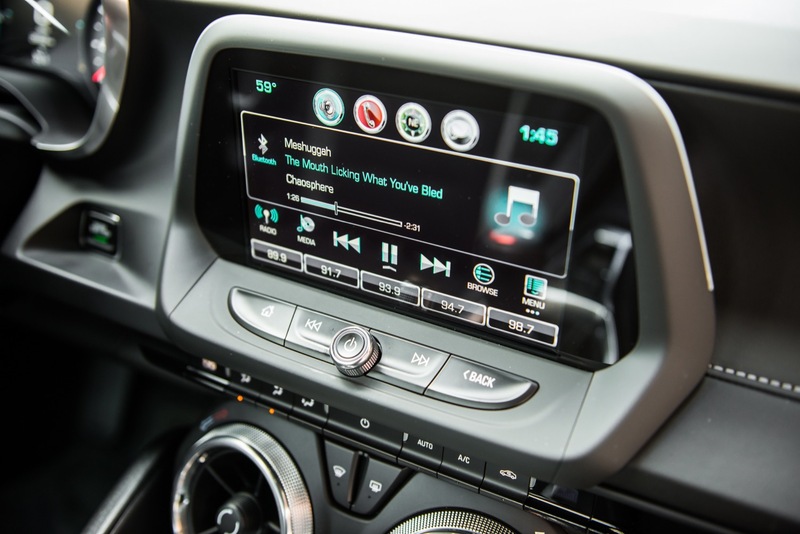 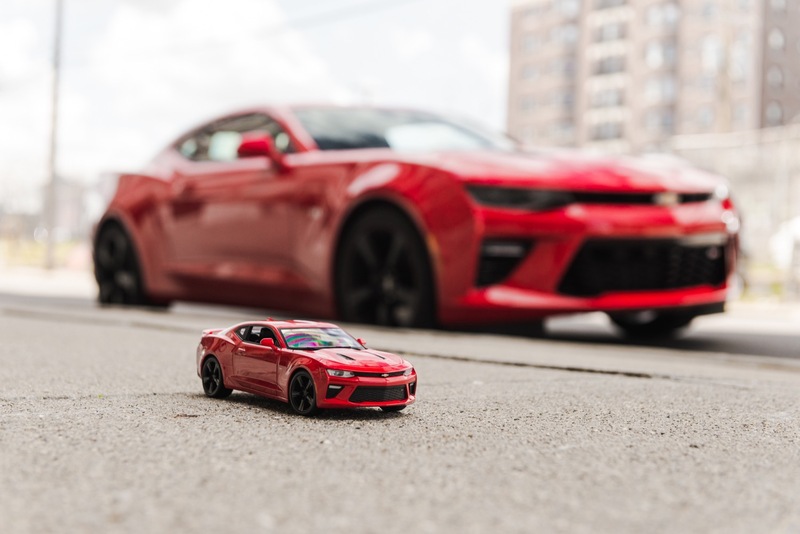 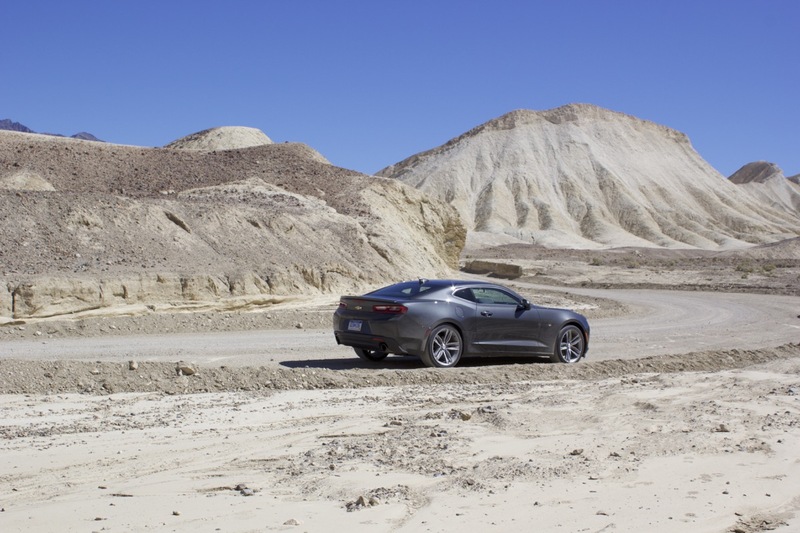 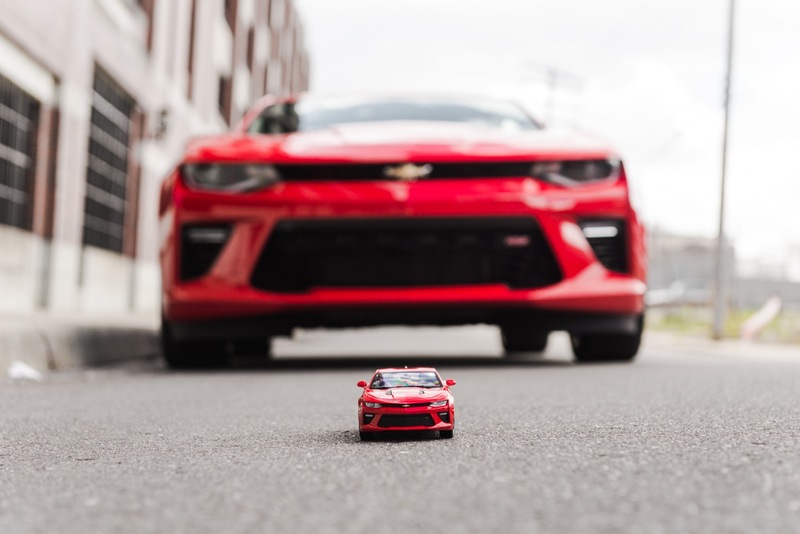 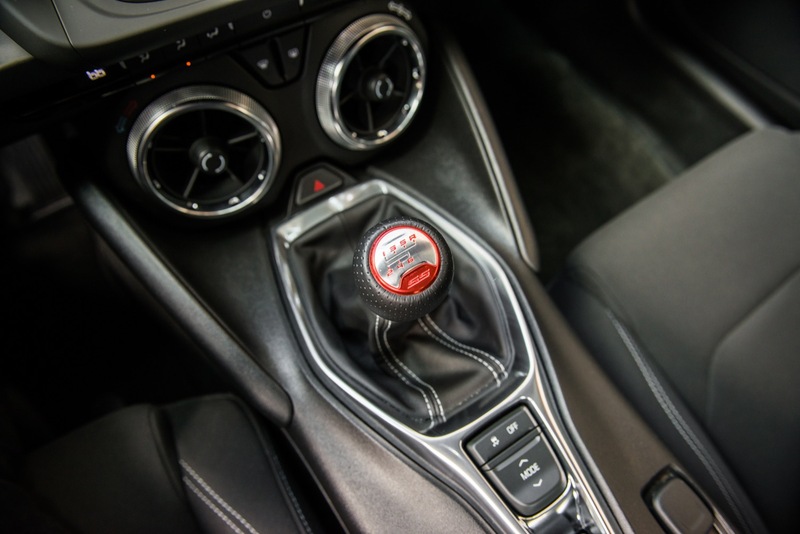 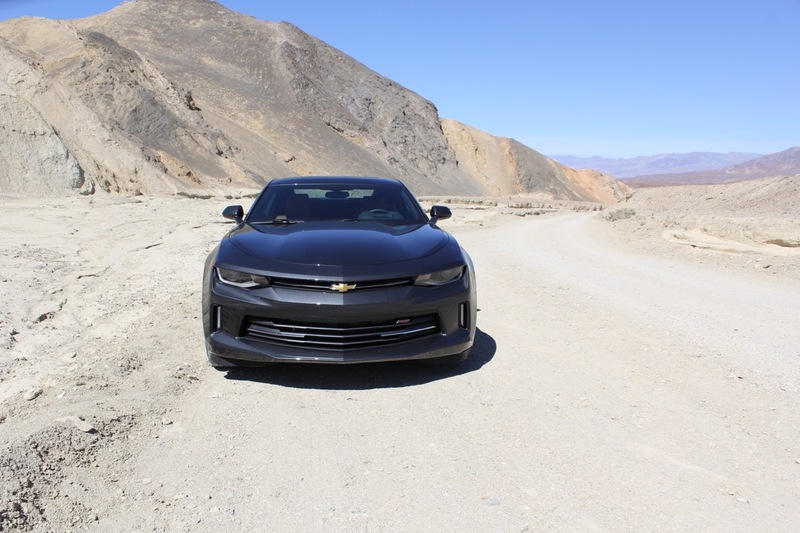 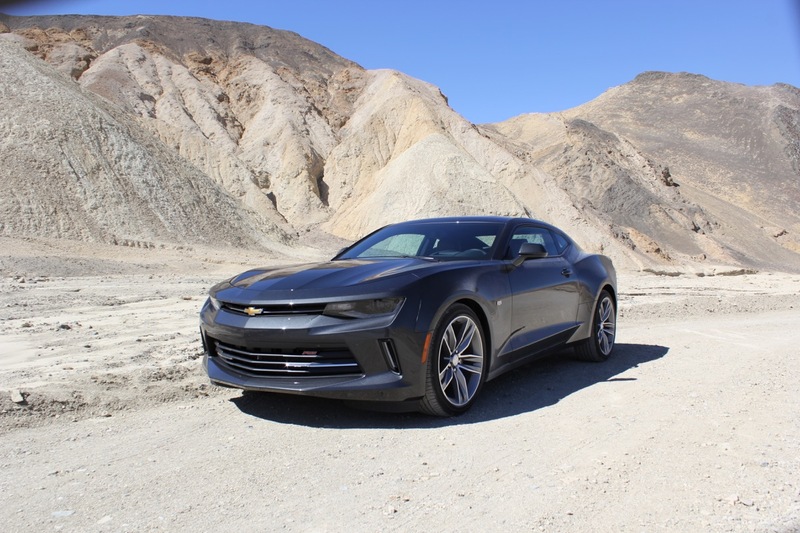 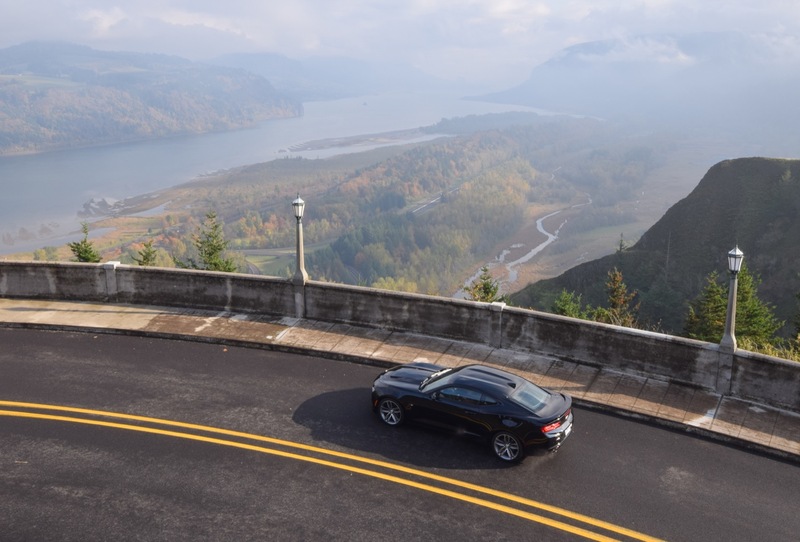 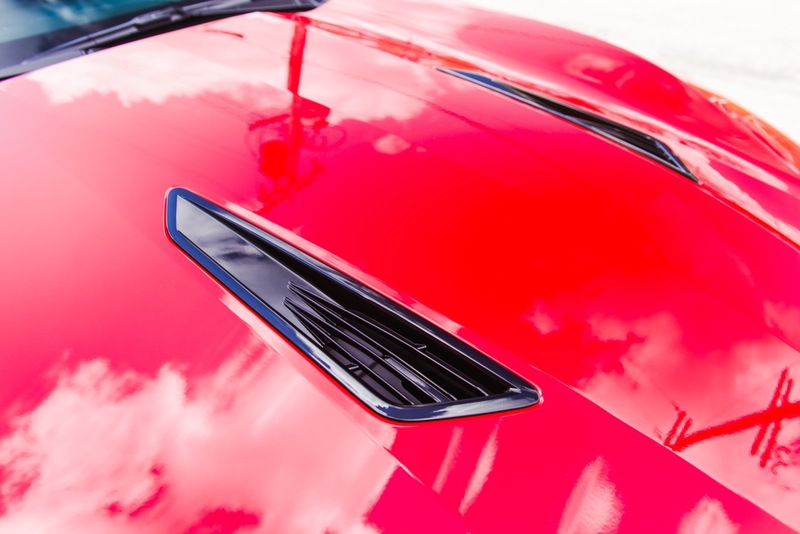 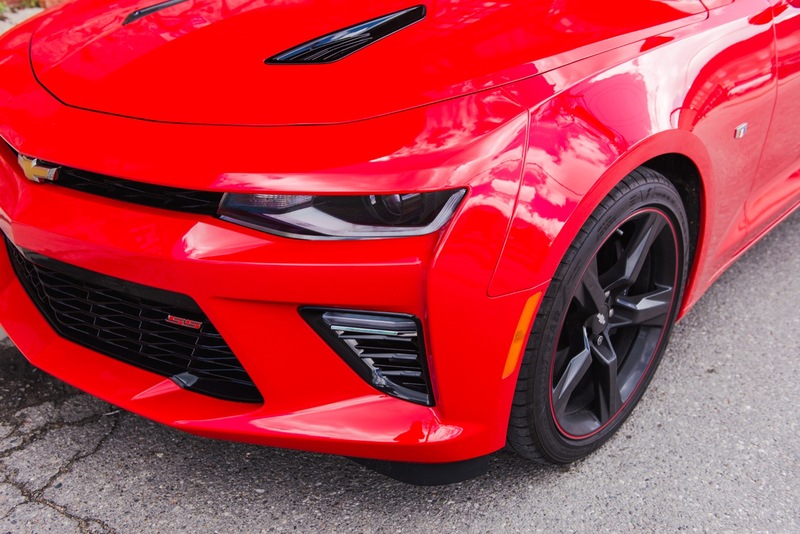 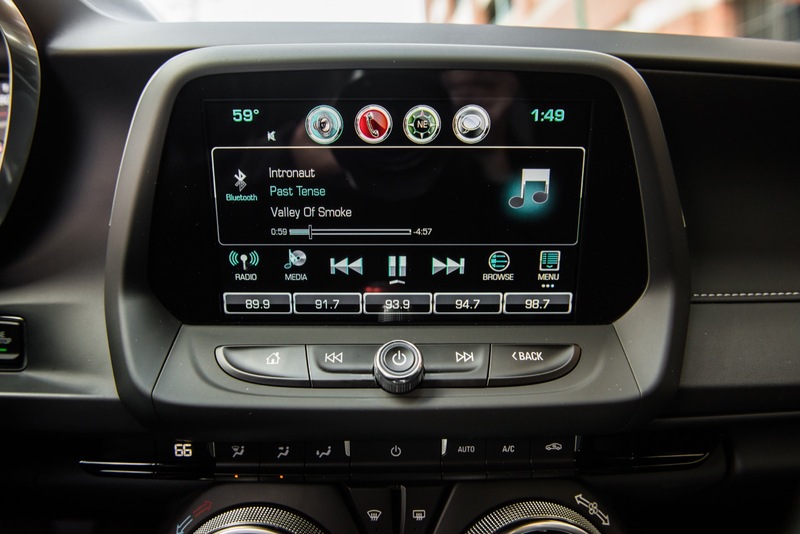 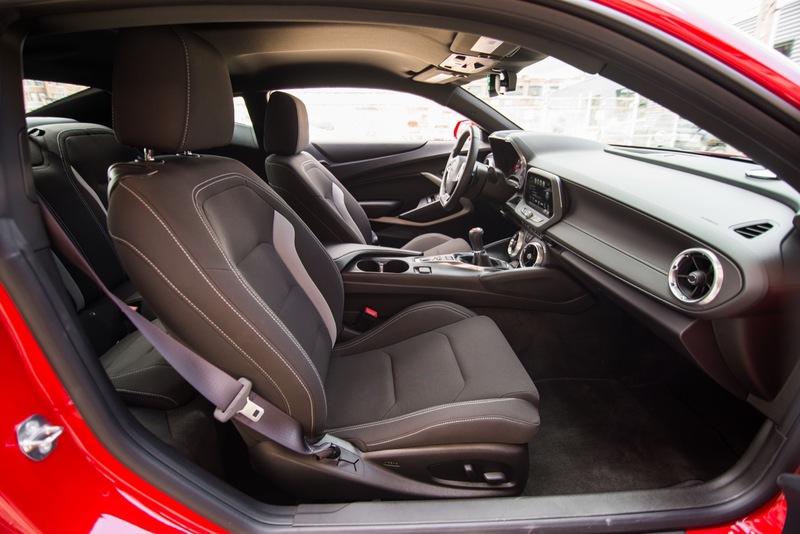 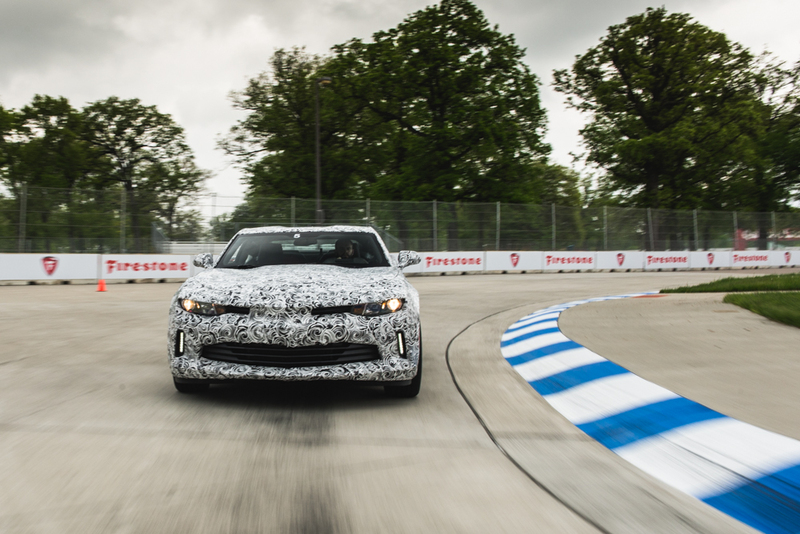 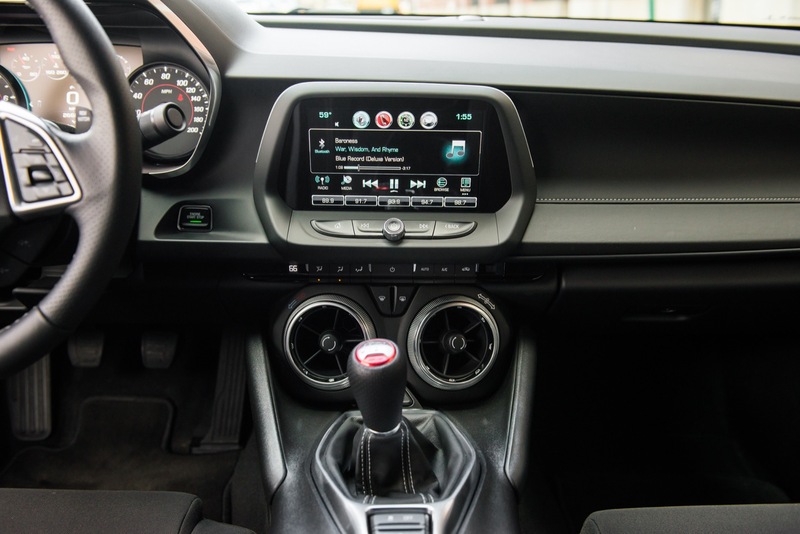 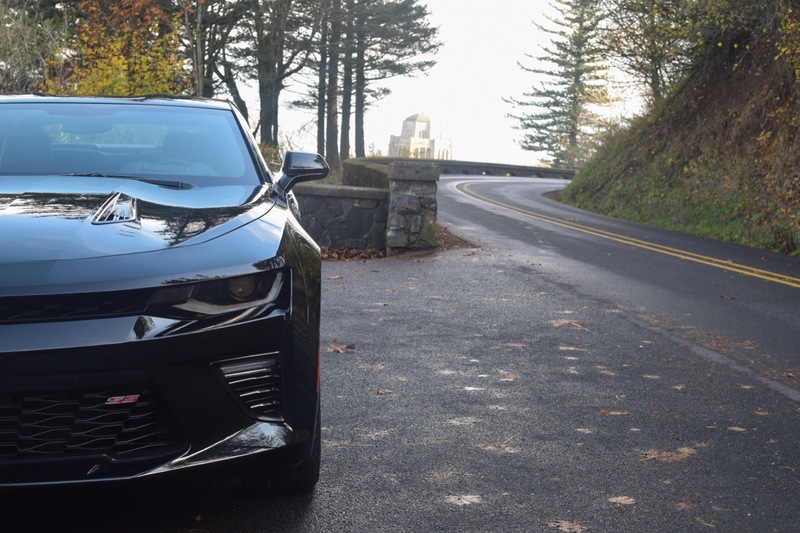 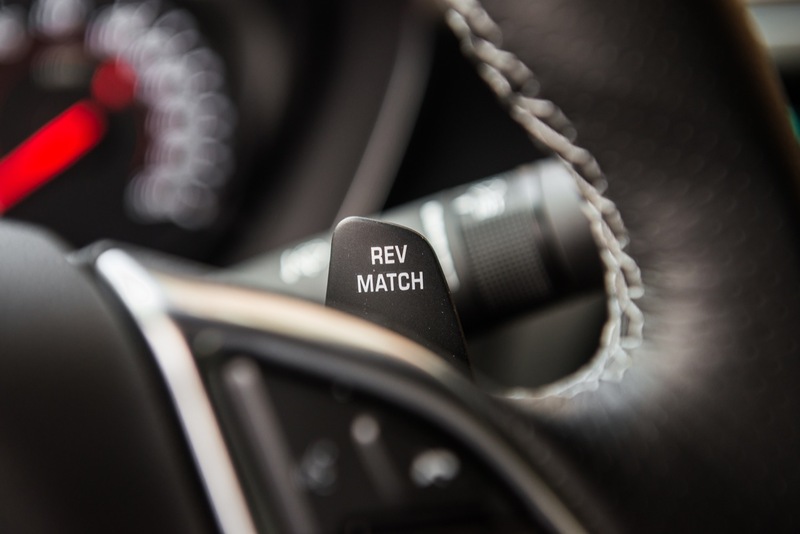 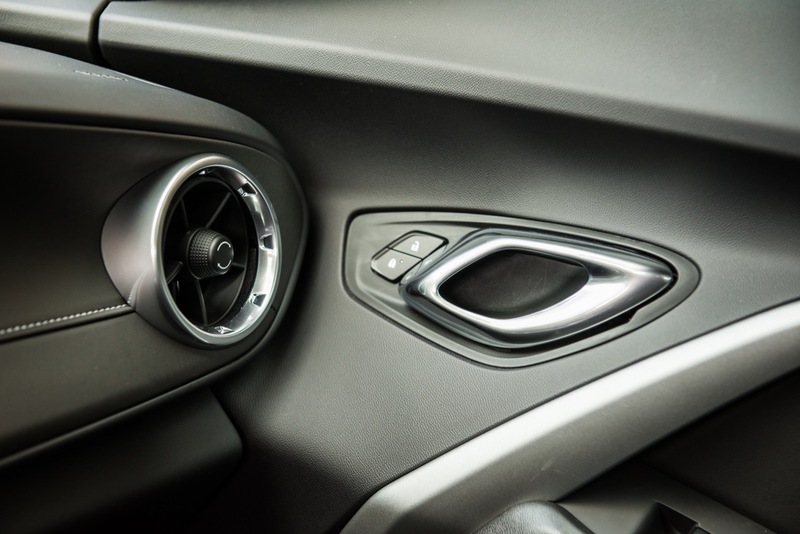 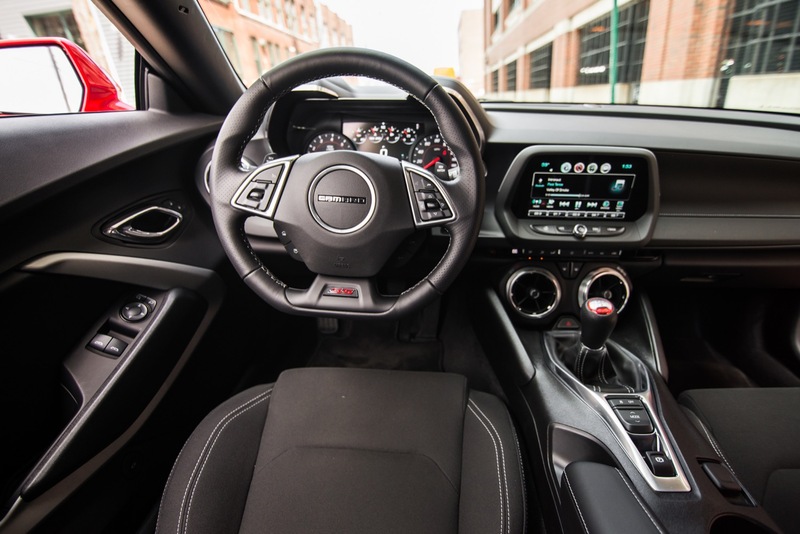 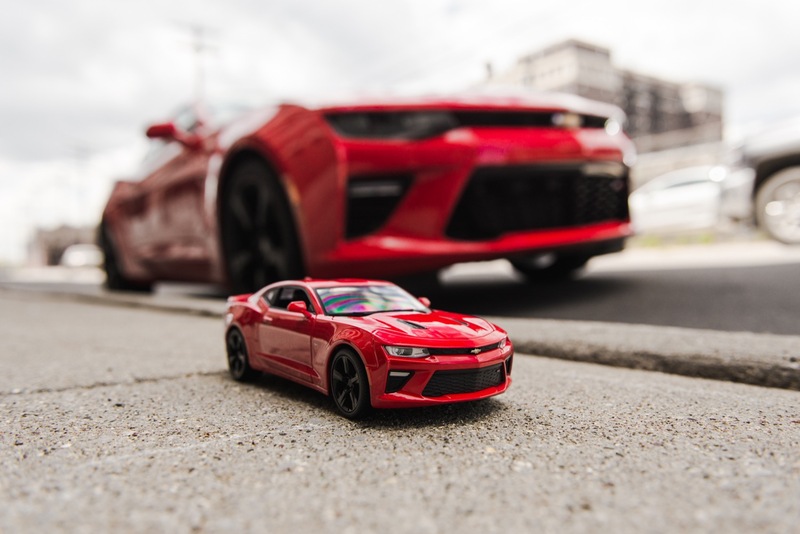 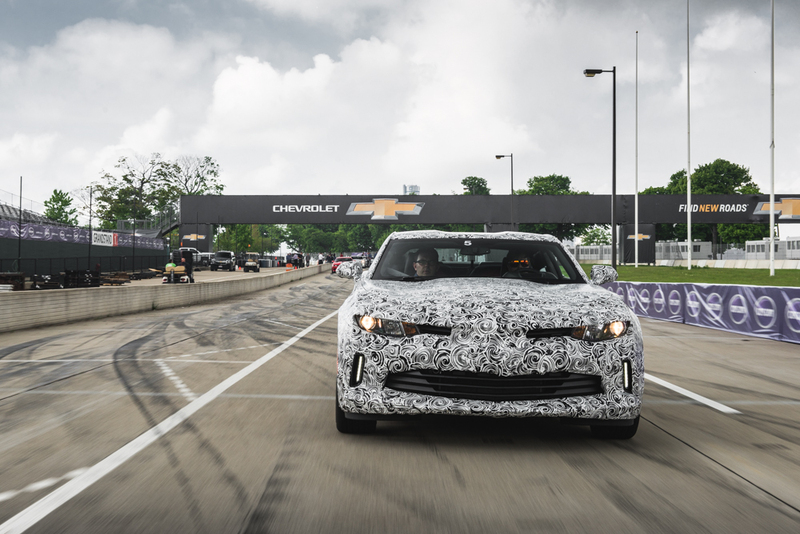 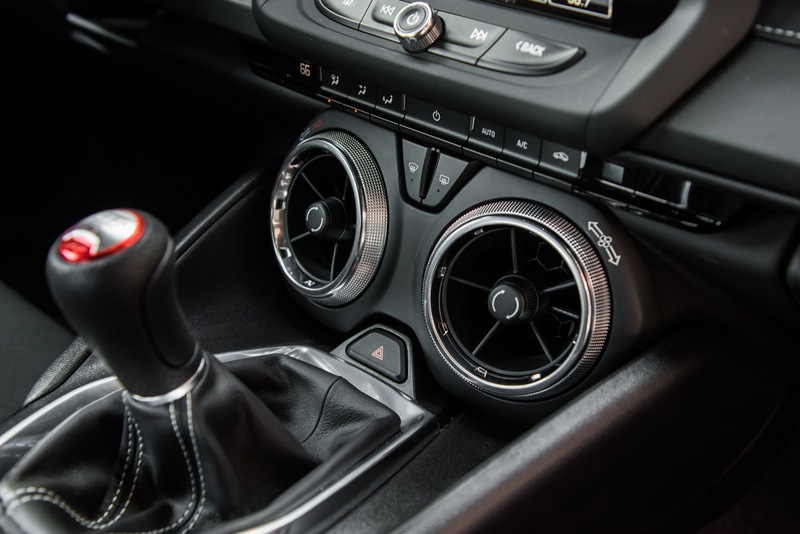 Given that the sixth-gen pony car is the first Camaro to be produced stateside since the third-gen, making many patriotic and puristic enthusiasts excited, and that’s not to mention the fact that the sixth-gen is an all-new vehicle that’s lighter and more nimble, has a higher-quality cabin, and has so much to offer, making us and many other fans, enthusiasts, and prospective buyers feel like Christmas is on the way. 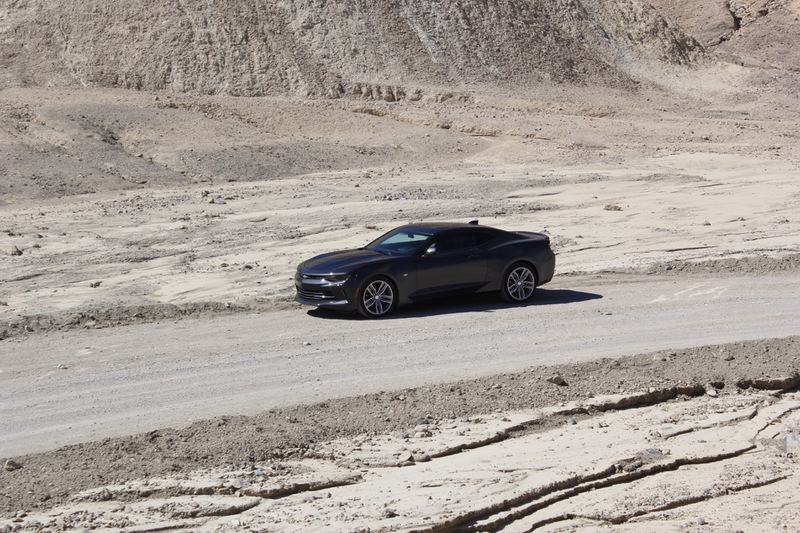 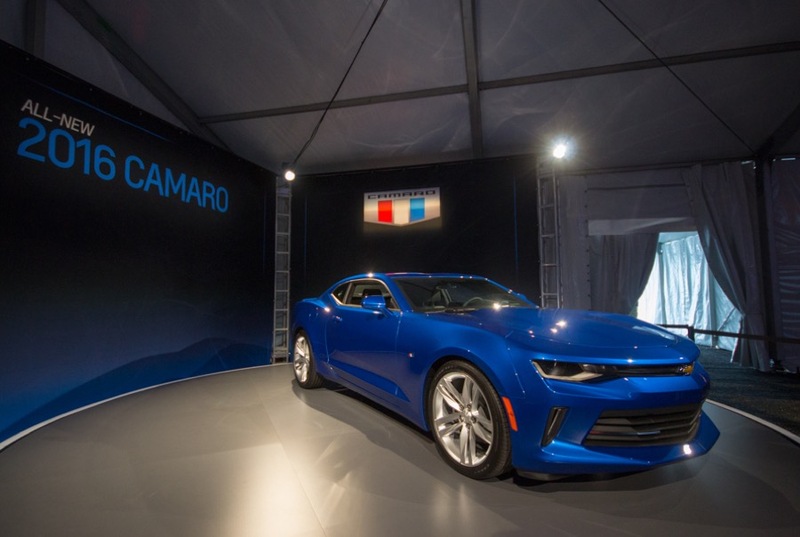 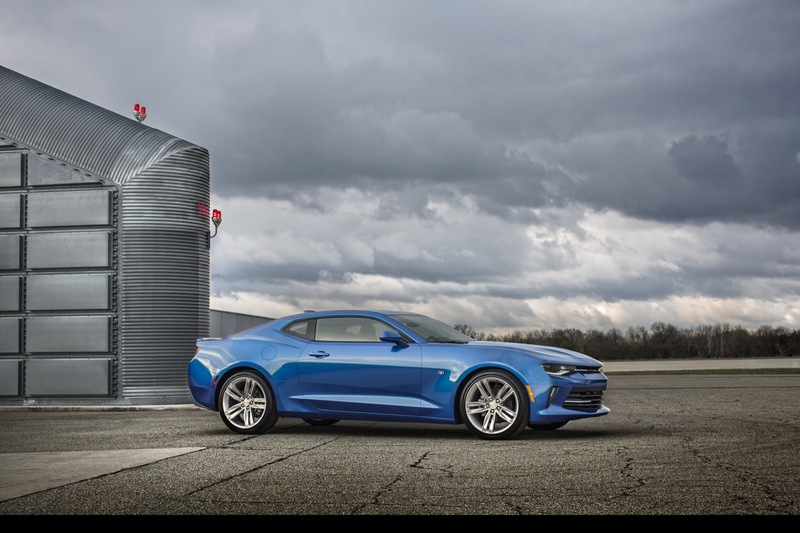 The biggest buzz about the 2016 Camaro is probably that it’s the first Camaro ever to be offered with a turbocharged four-cylinder engine — the 2.0L LTG. 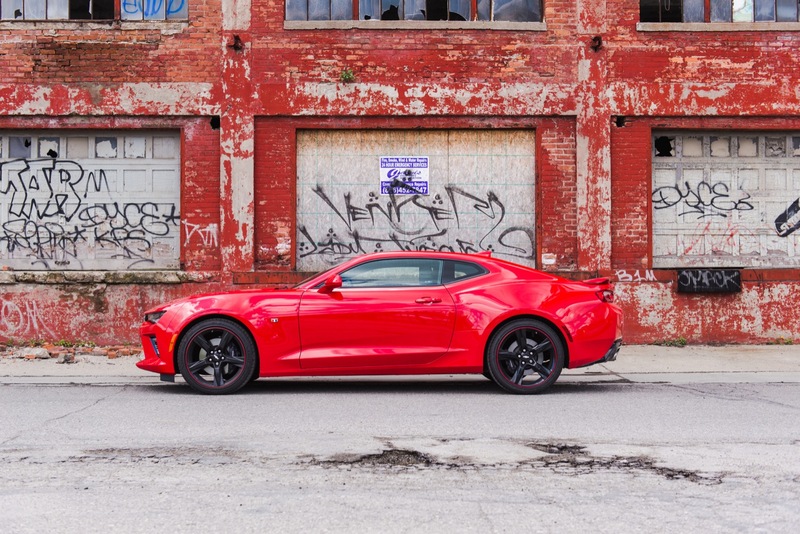 The next step up is the six-cylinder model, which features the all-new 3.6L V6 LGX good for 335 horsepower and 384 horsepower, which is more than any other naturally-aspirated V6 in the segment (including the base V6 in the Ford Mustang). 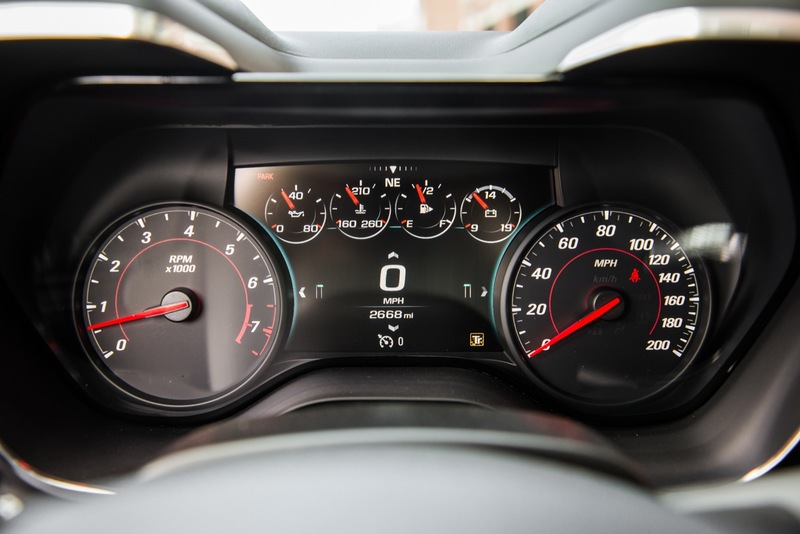 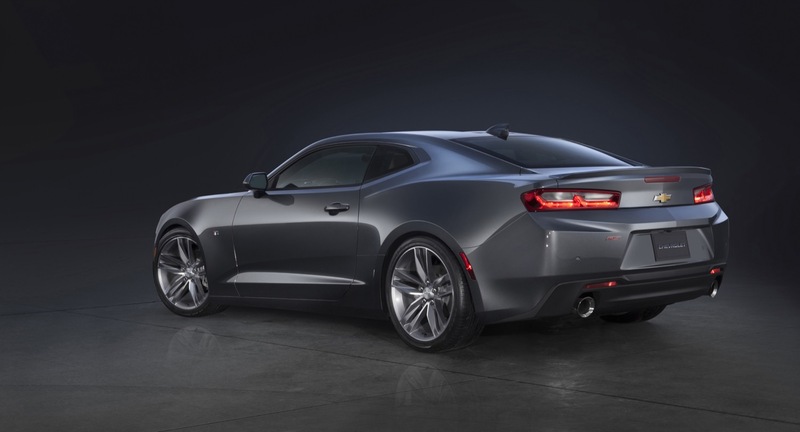 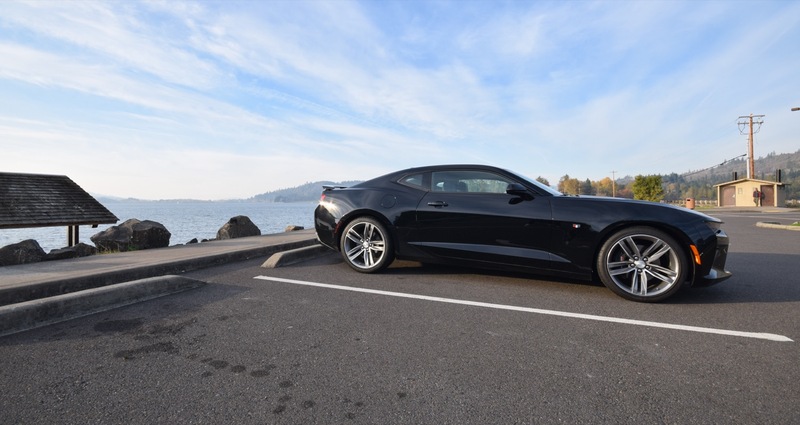 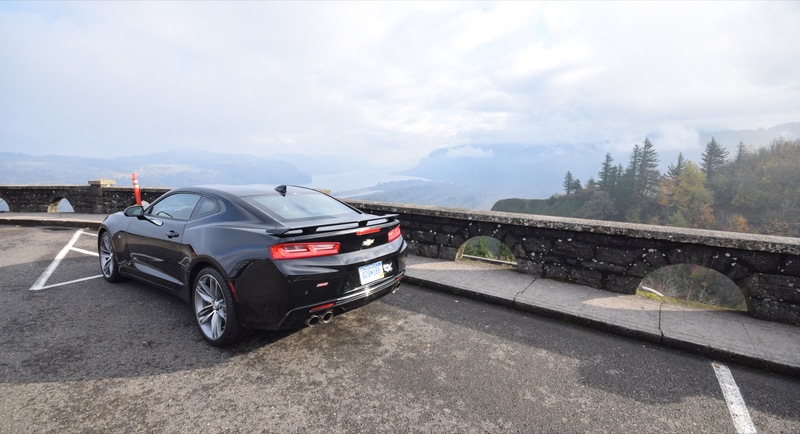 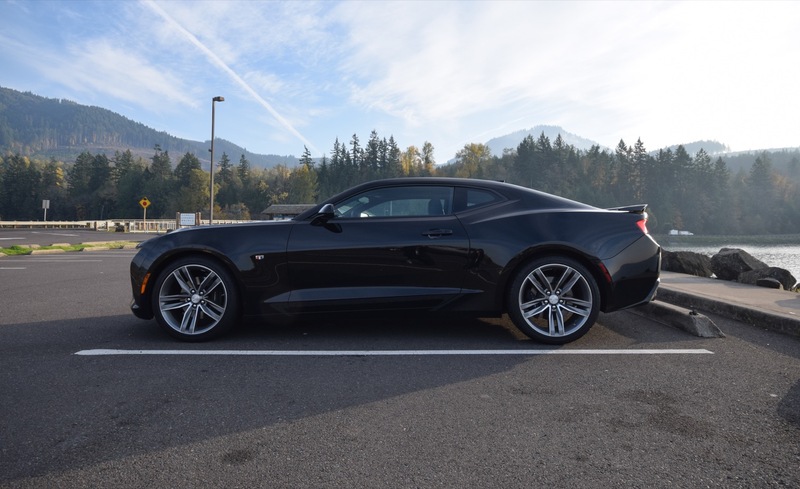 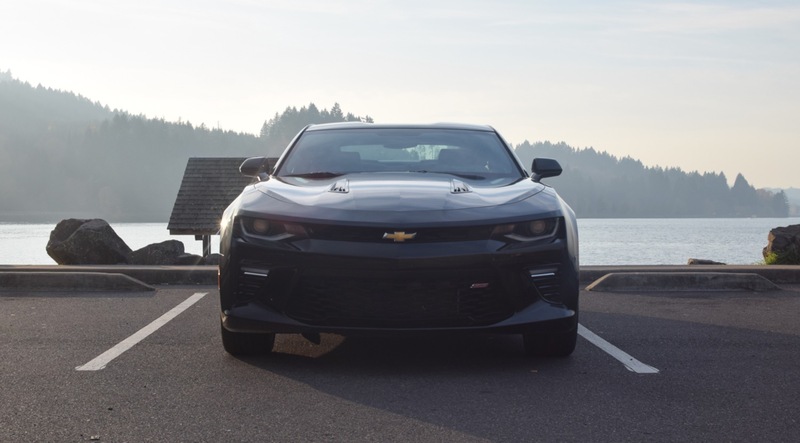 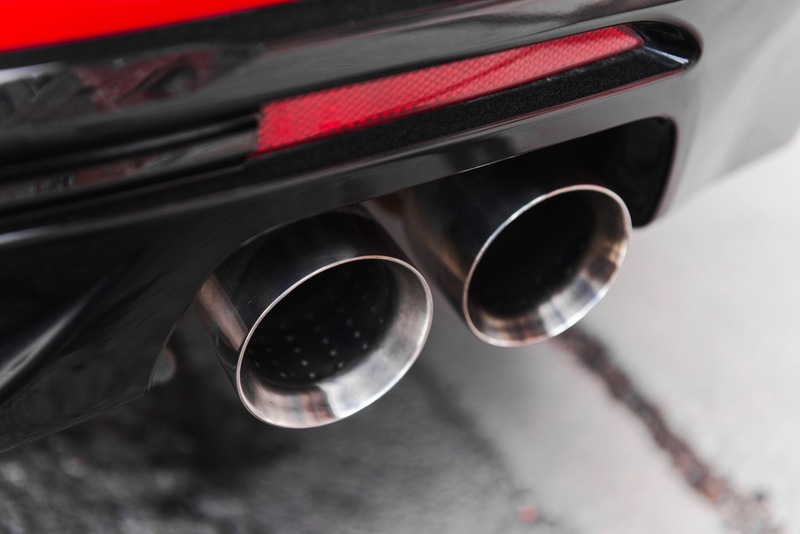 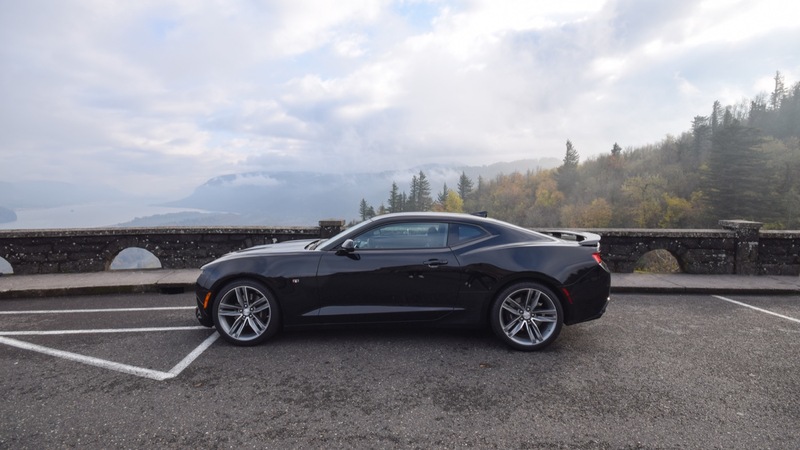 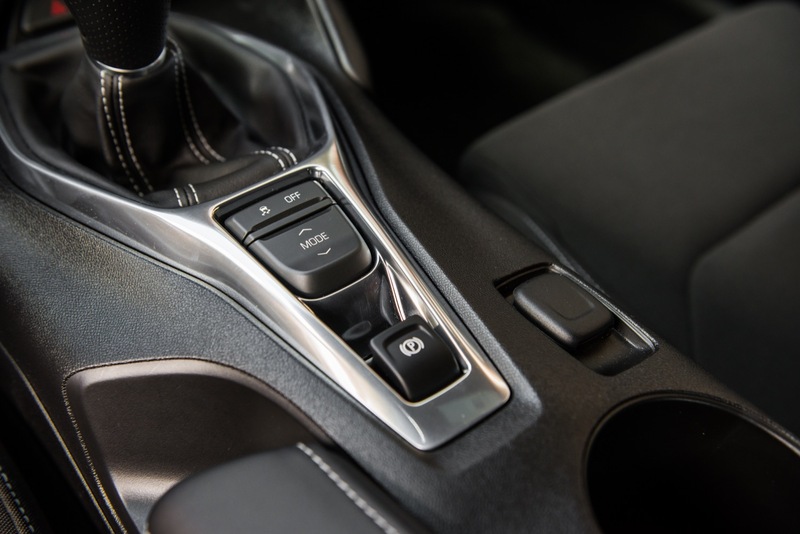 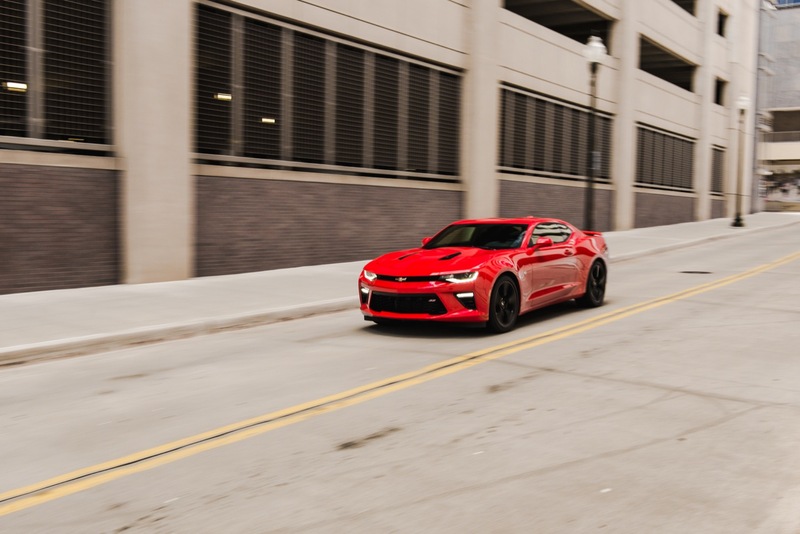 What’s more, the 3.6L V6 LGX is also the first six-cylinder engine with a DOHC design from General Motors to contain Active Fuel Management (AFM, or cylinder deactivation), thereby being the first six-banger with AFM in the Camaro. 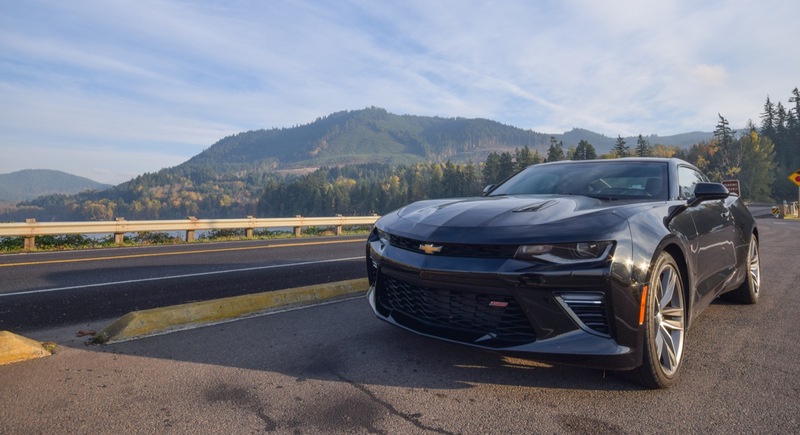 And who could overlook the most powerful Camaro SS to ever be produced? 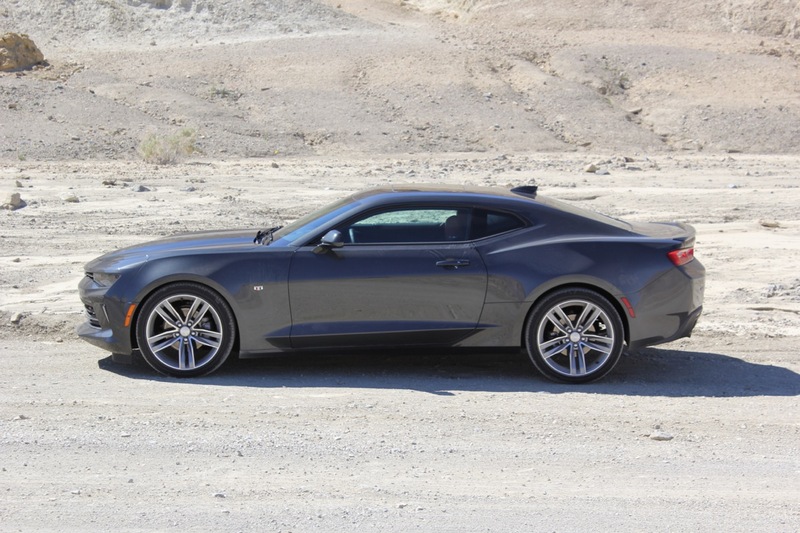 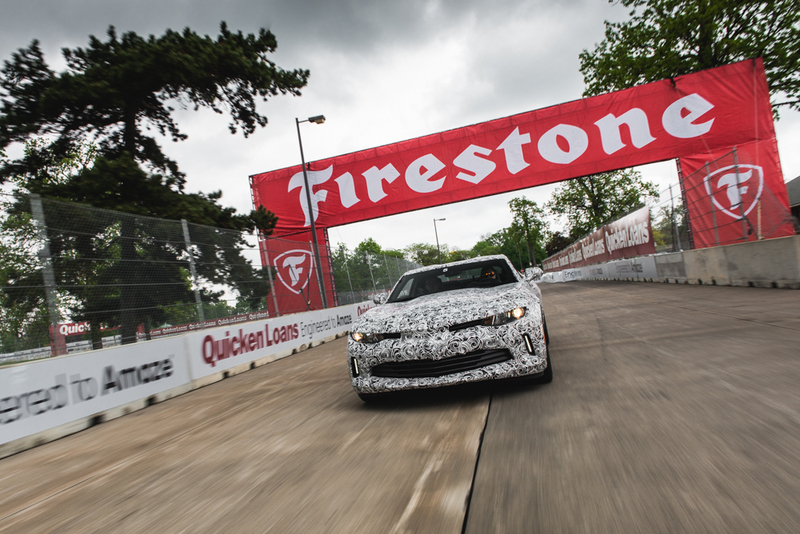 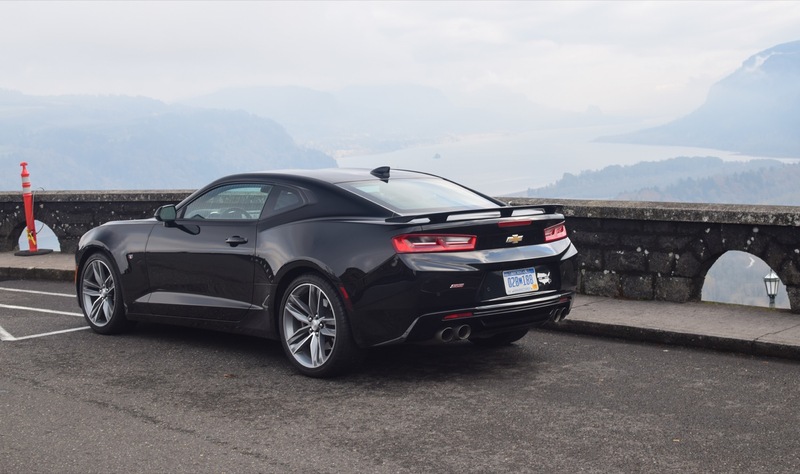 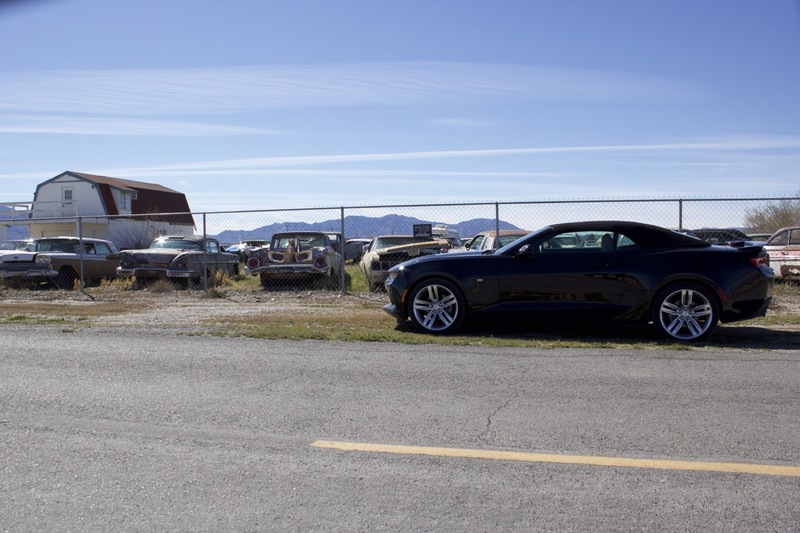 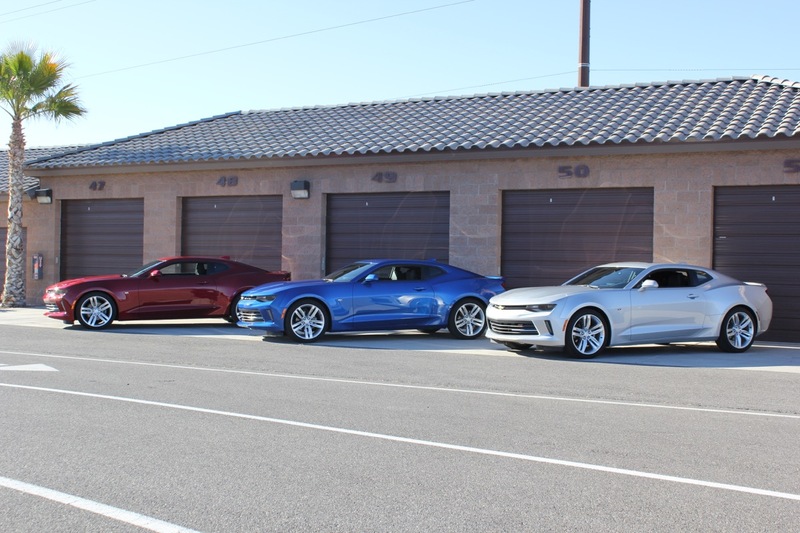 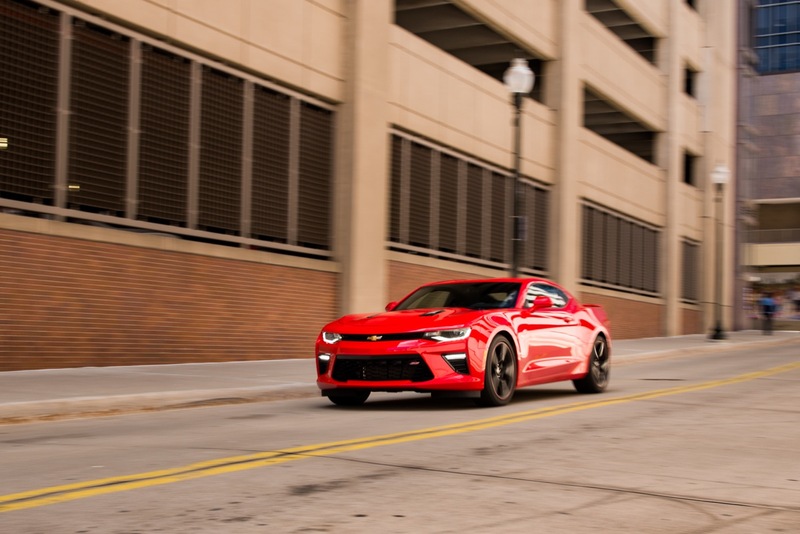 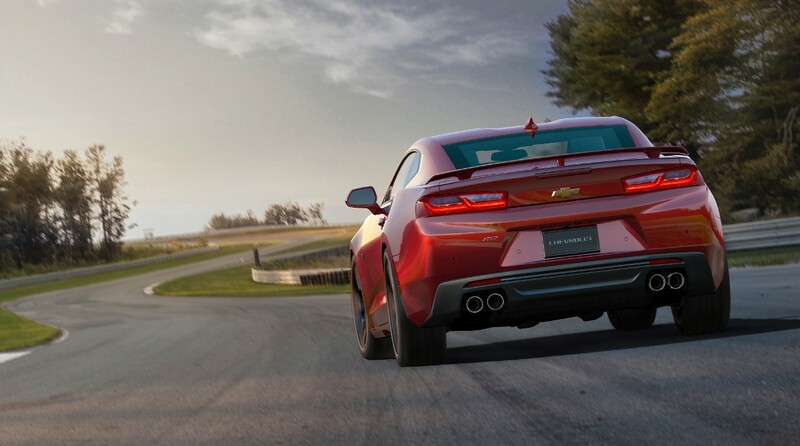 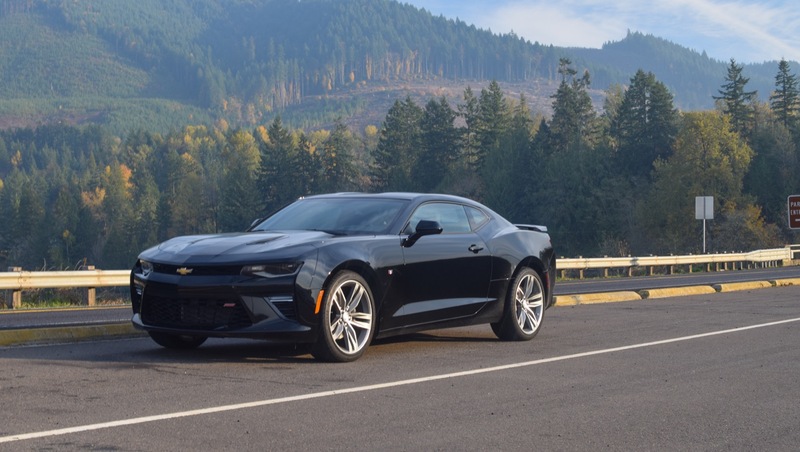 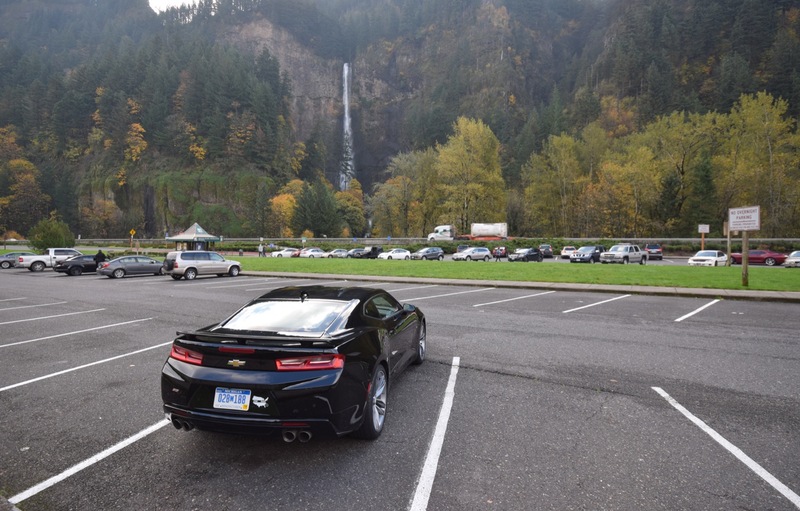 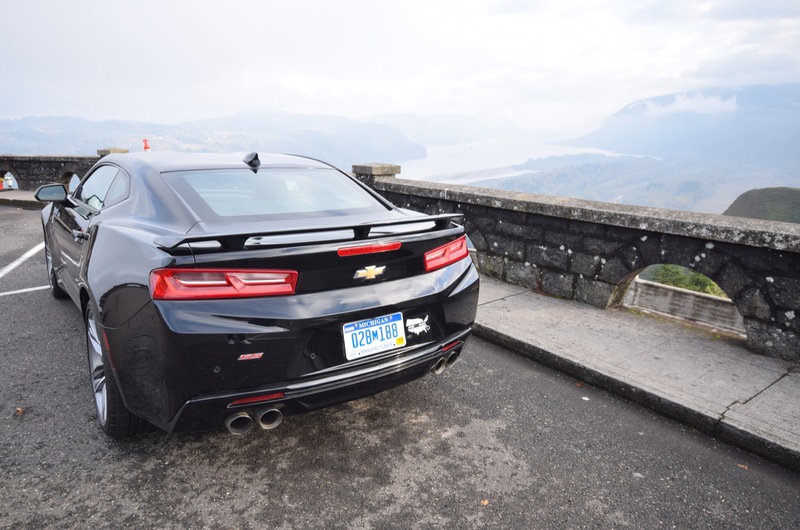 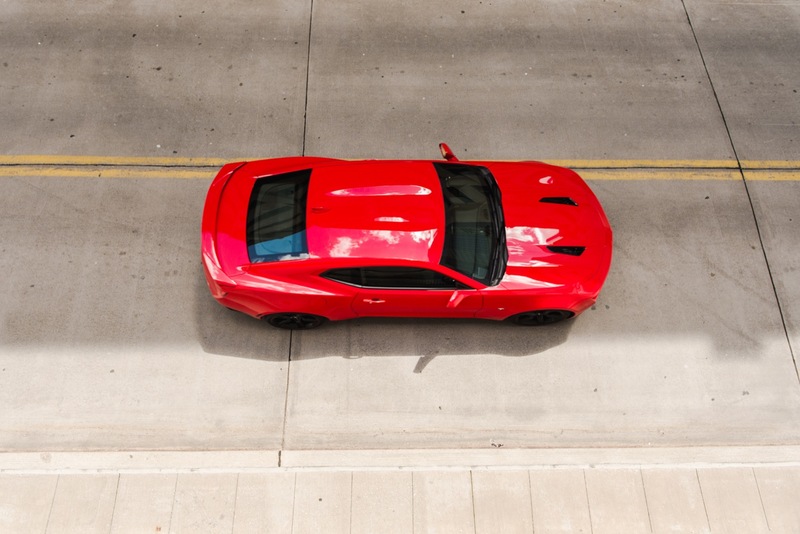 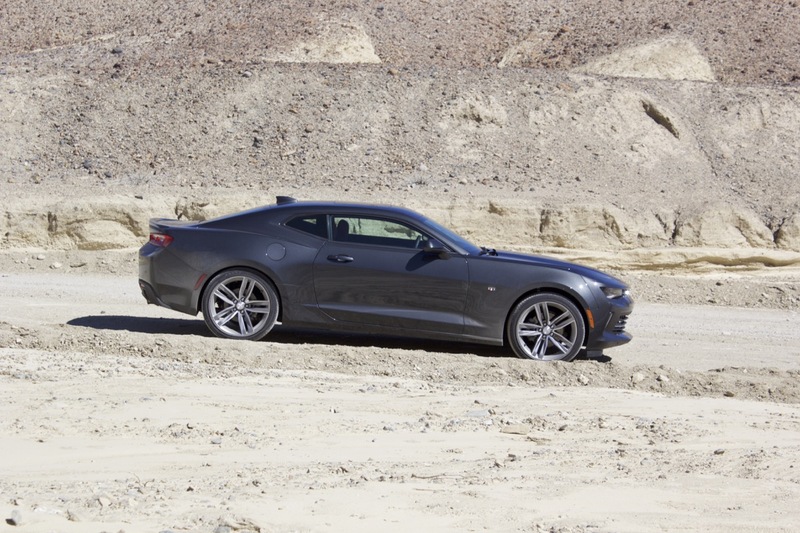 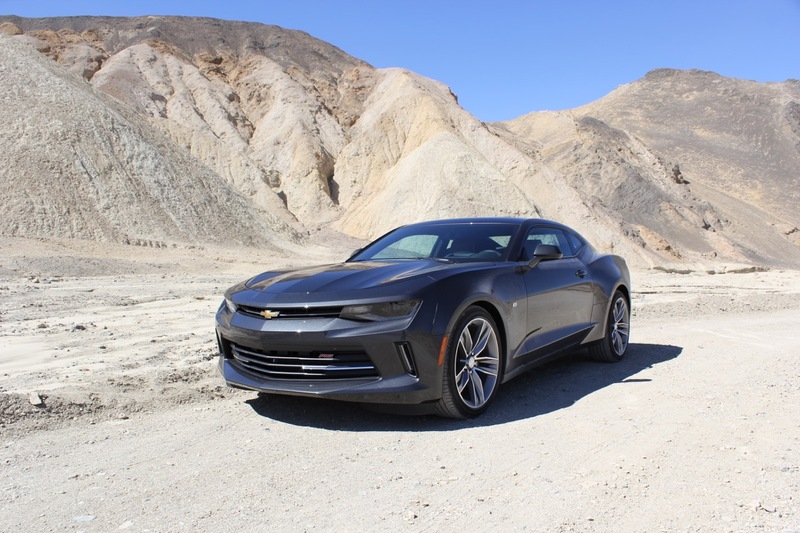 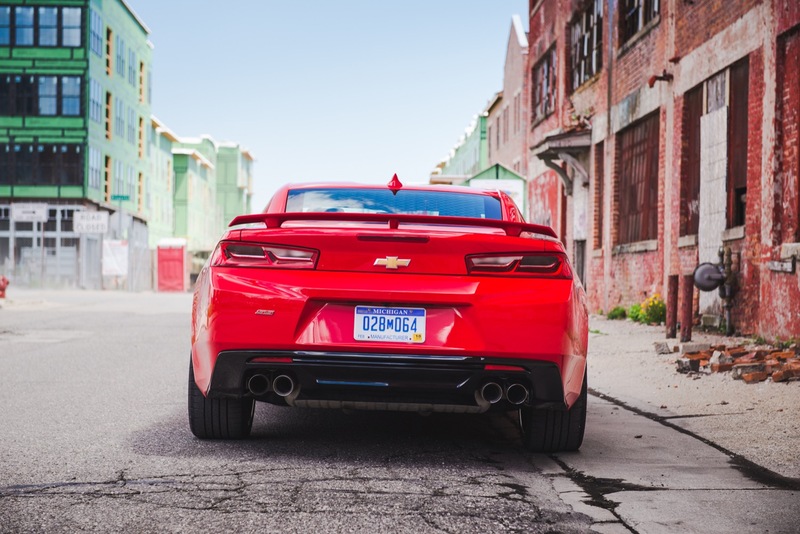 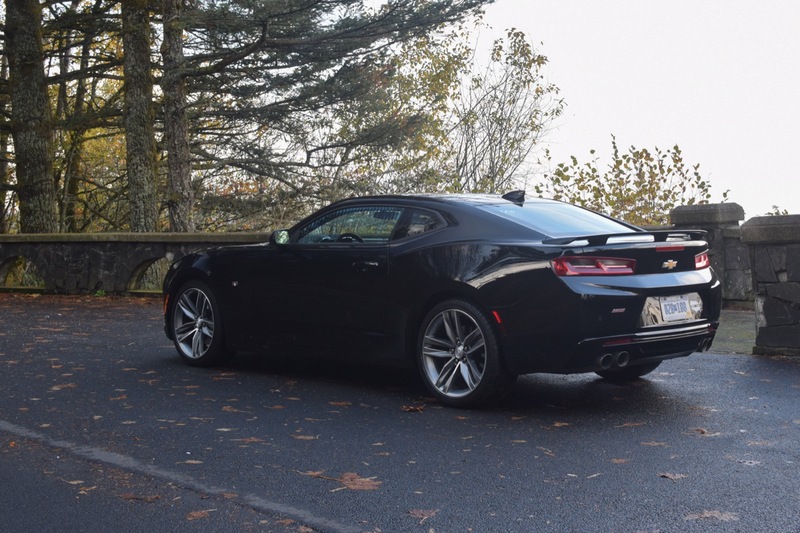 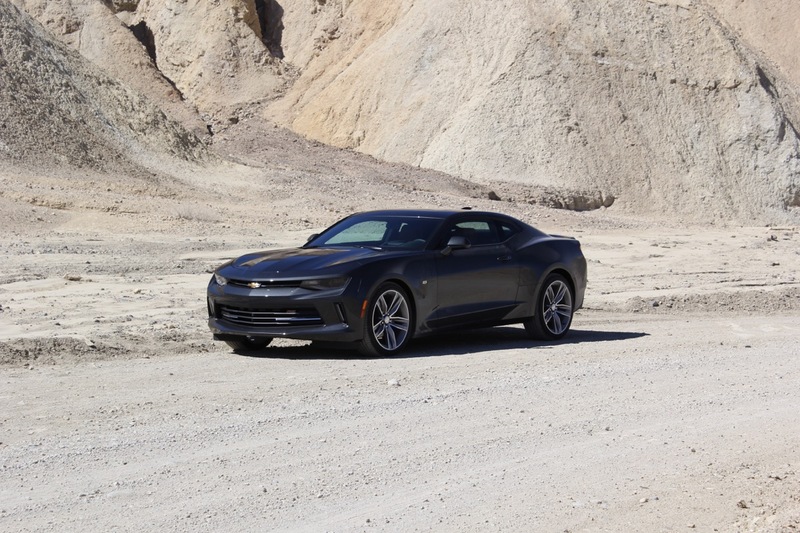 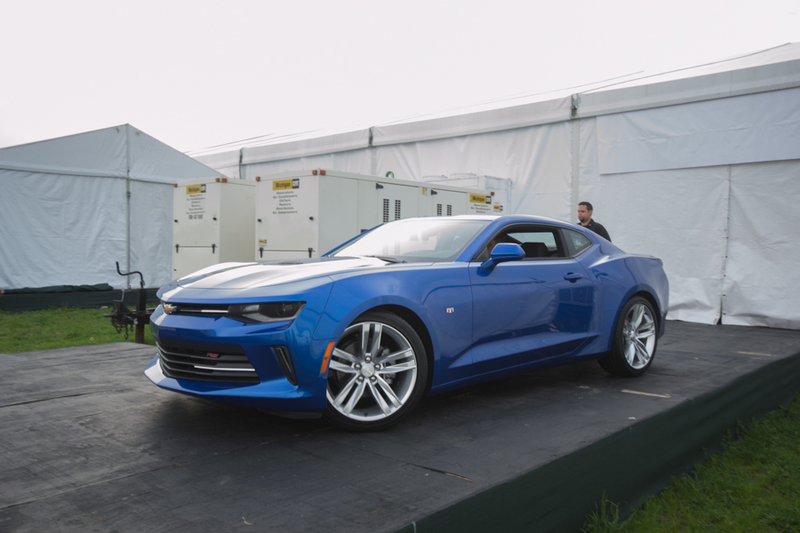 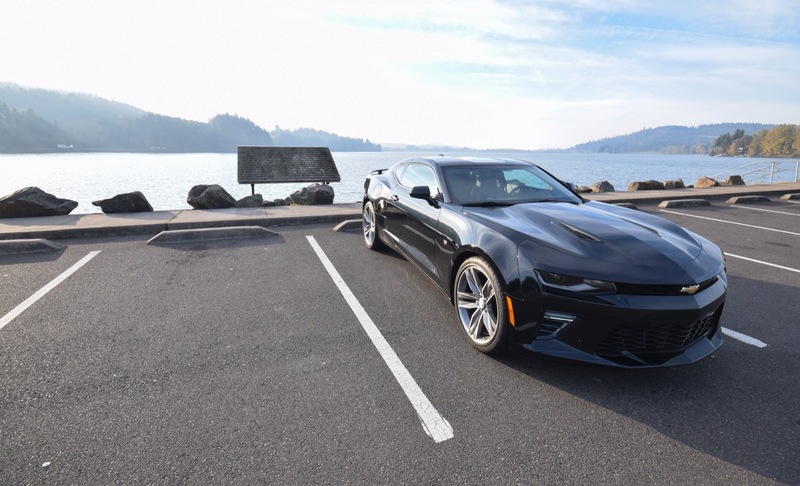 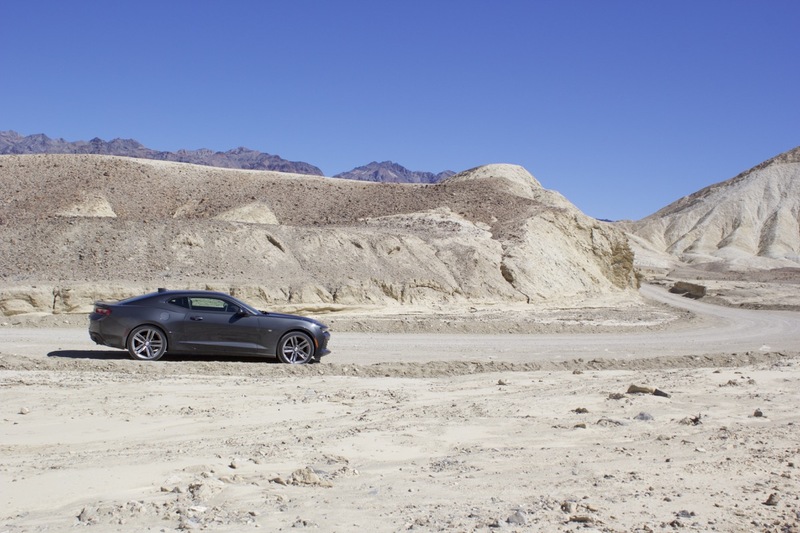 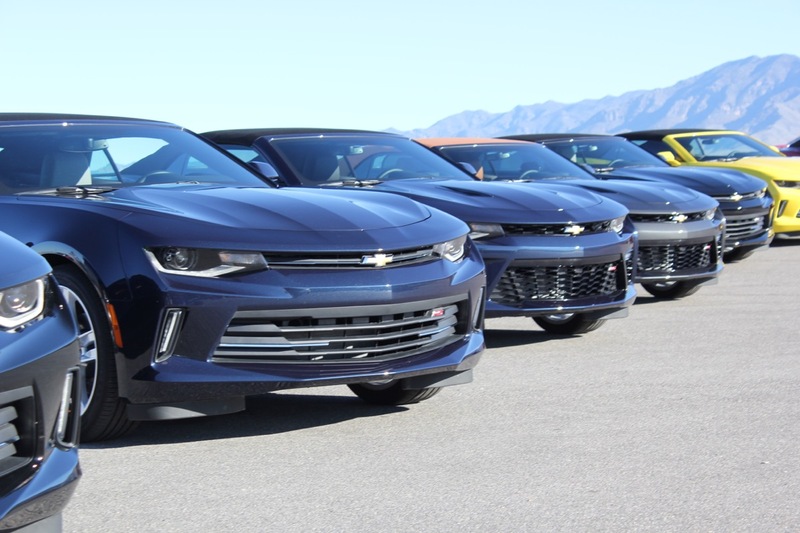 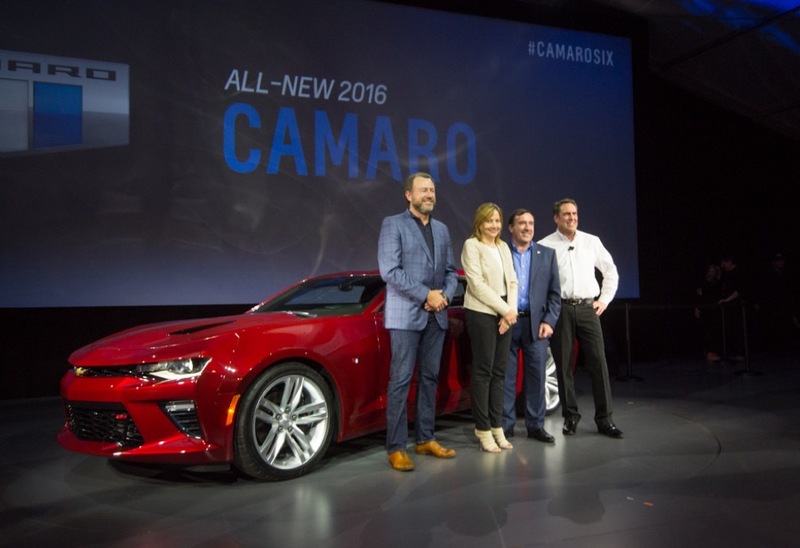 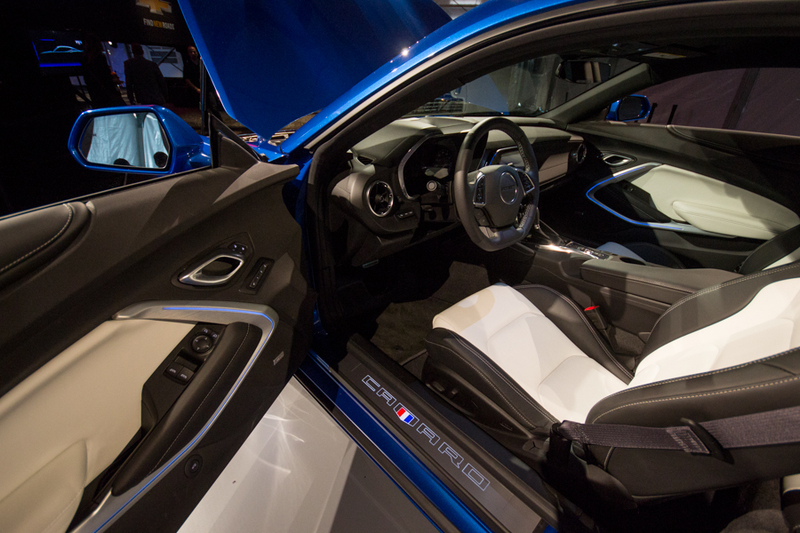 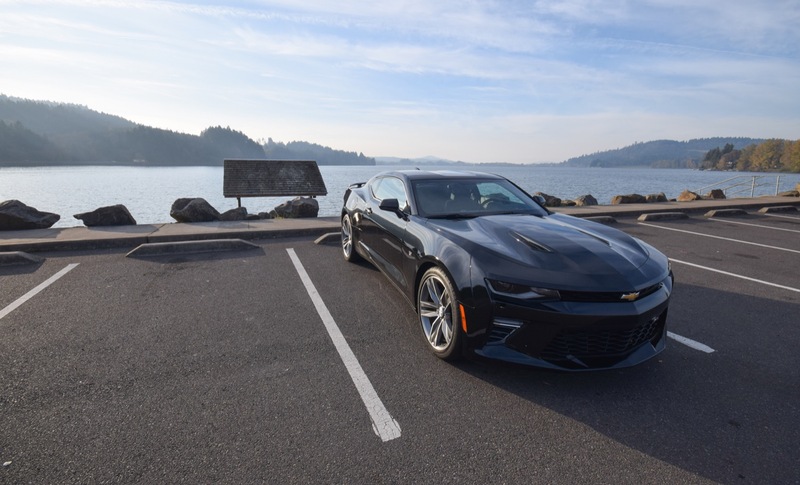 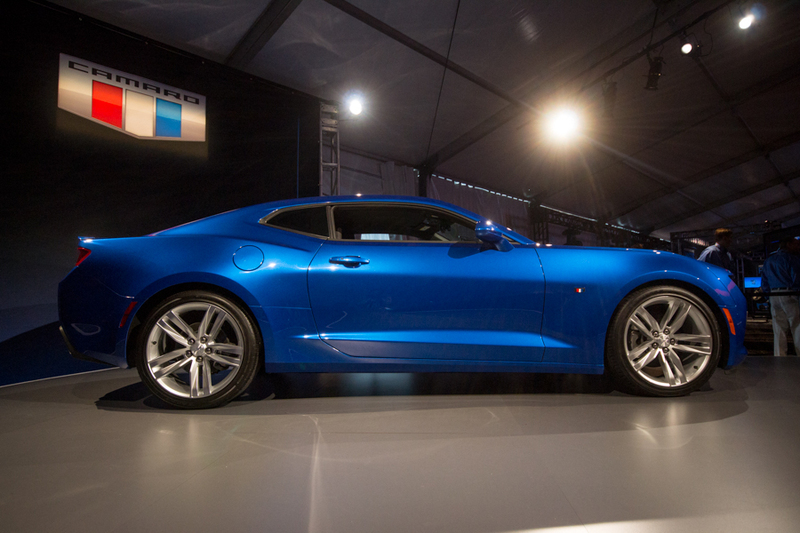 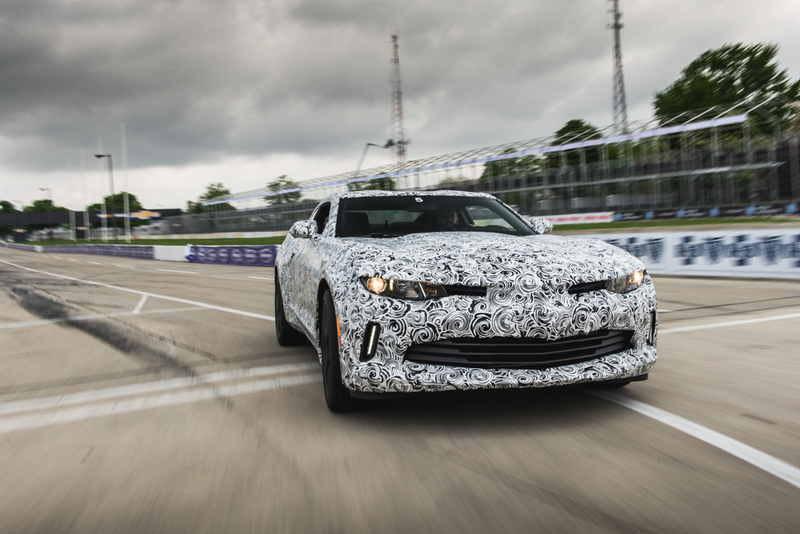 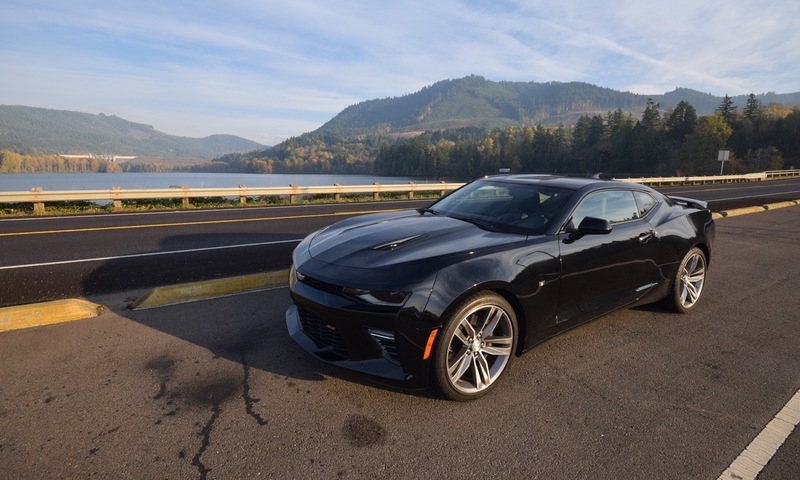 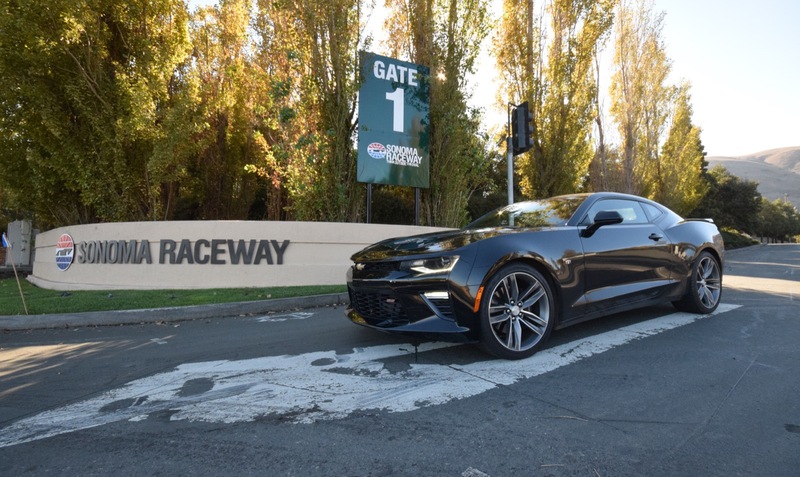 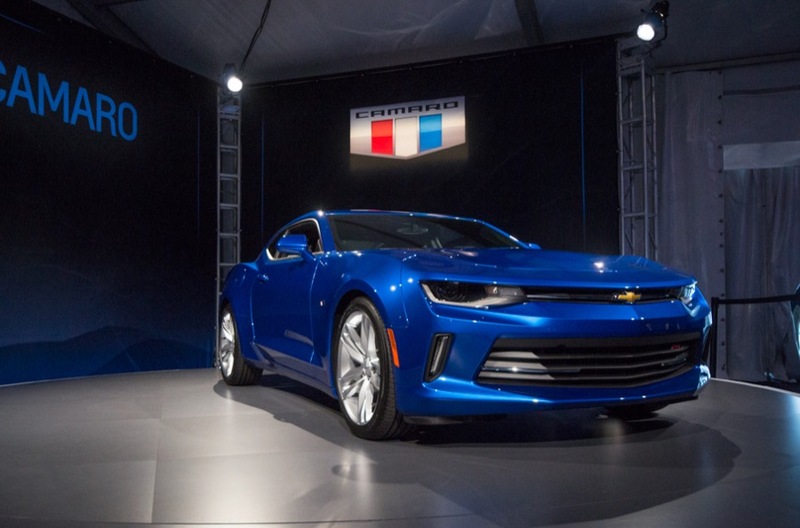 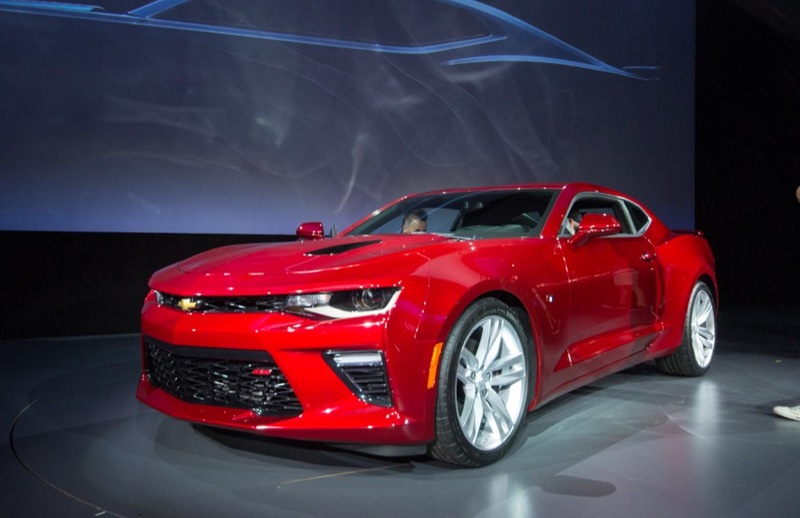 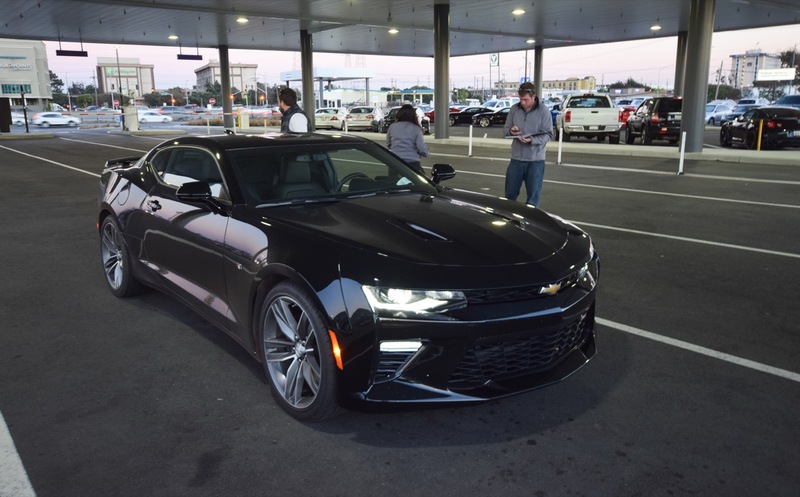 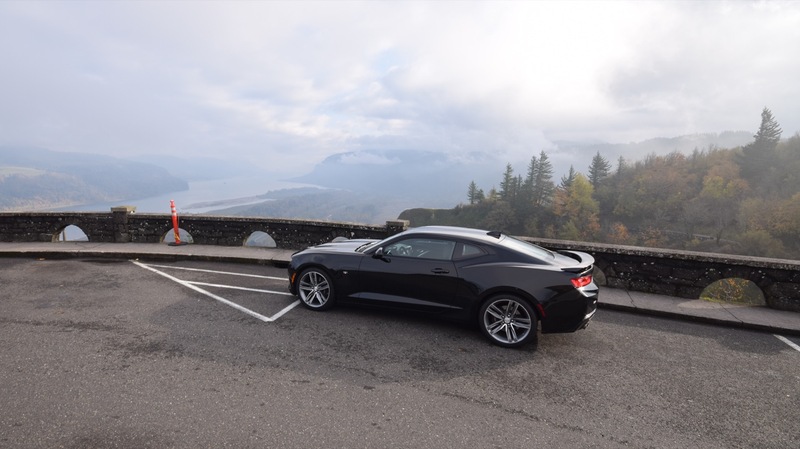 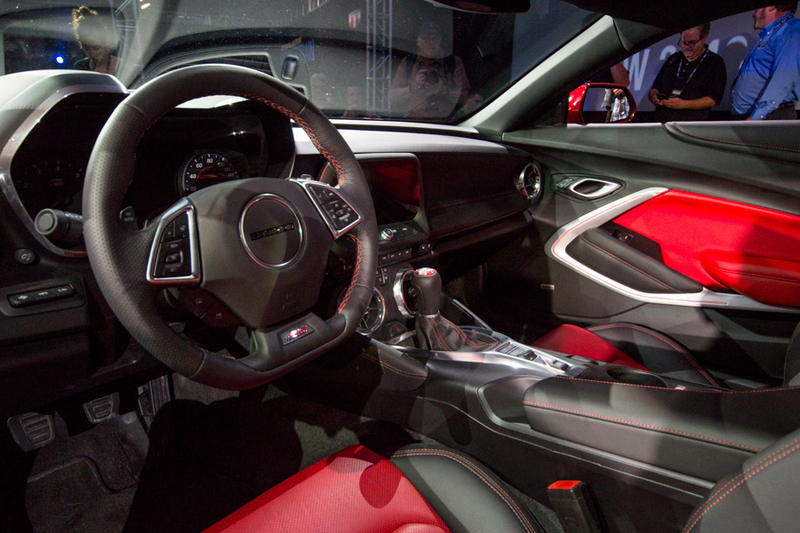 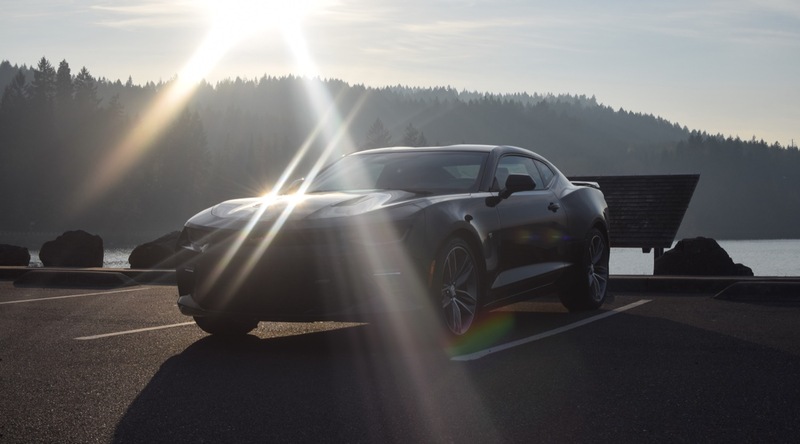 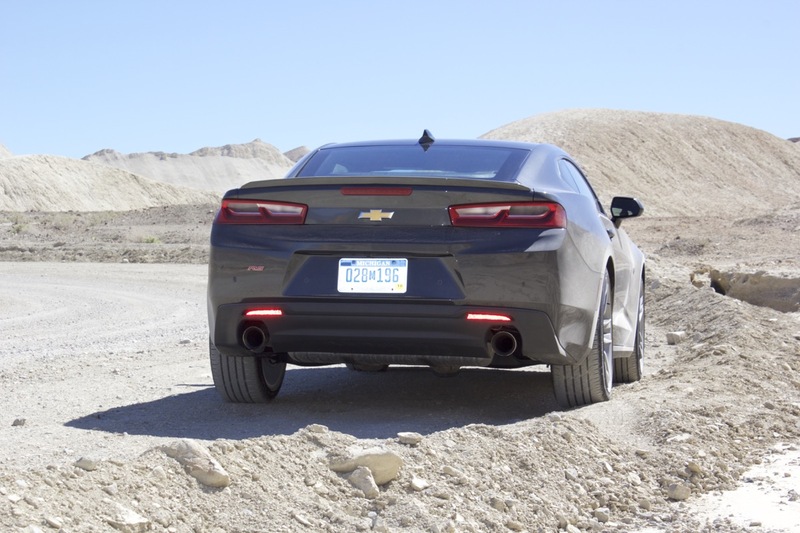 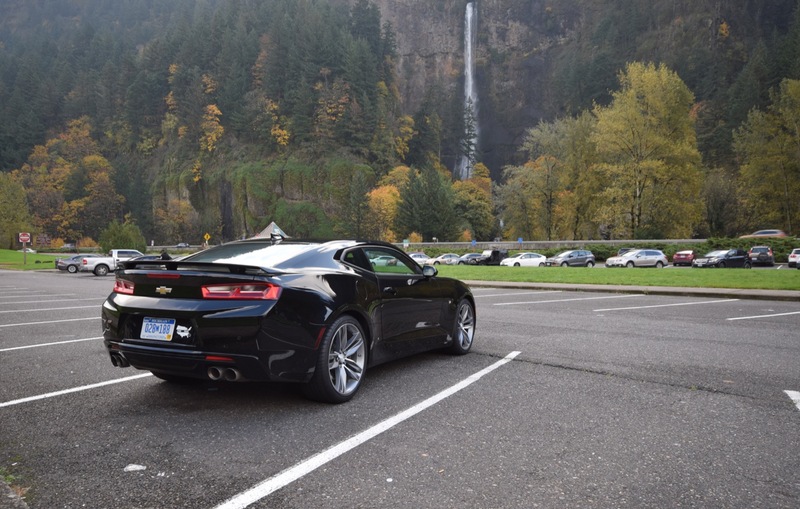 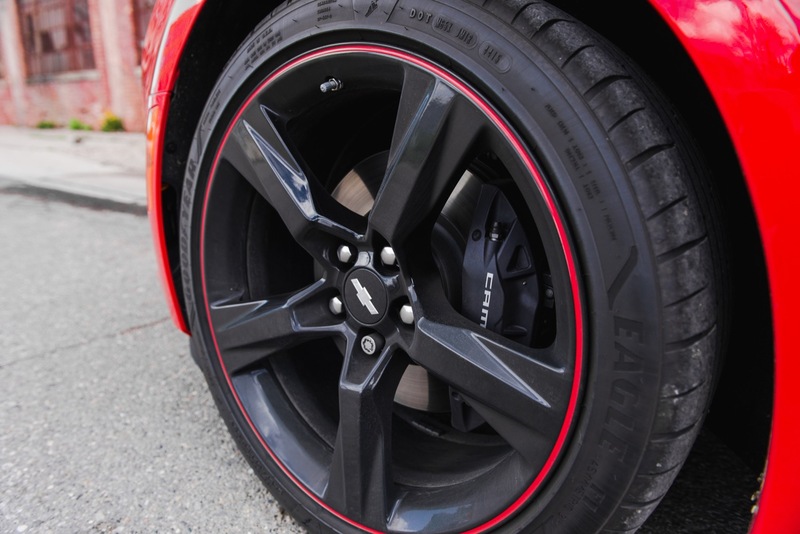 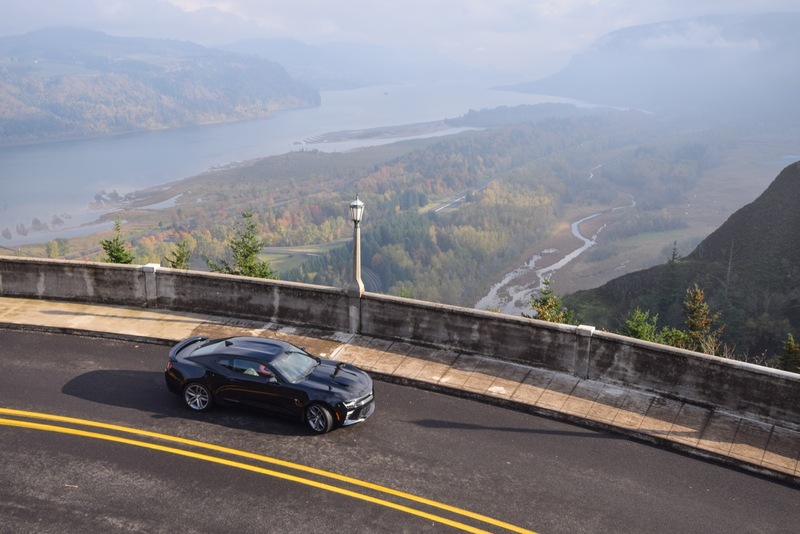 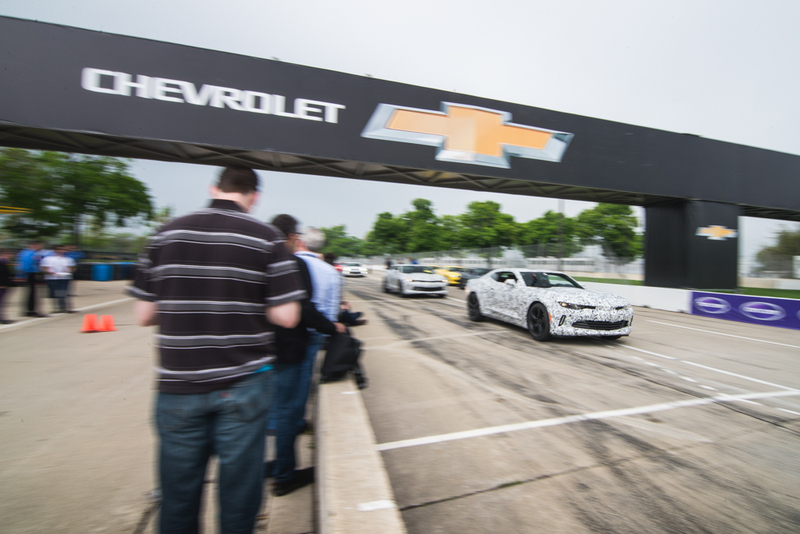 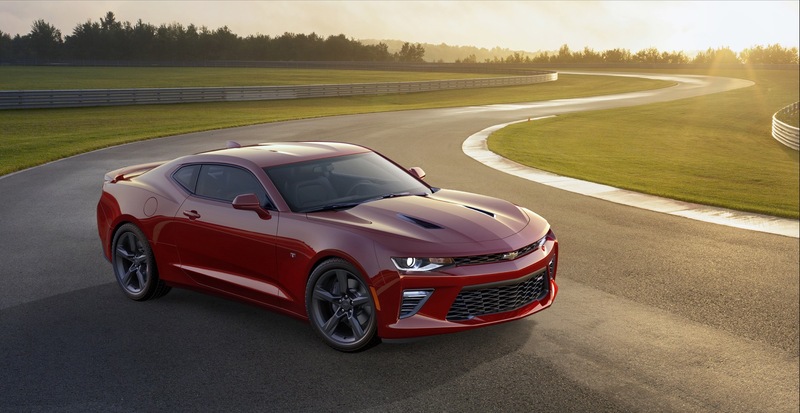 The 2016 Camaro SS makes 455 horsepower and 455 pound-feet of torque from the 6.2L LT1 V8. 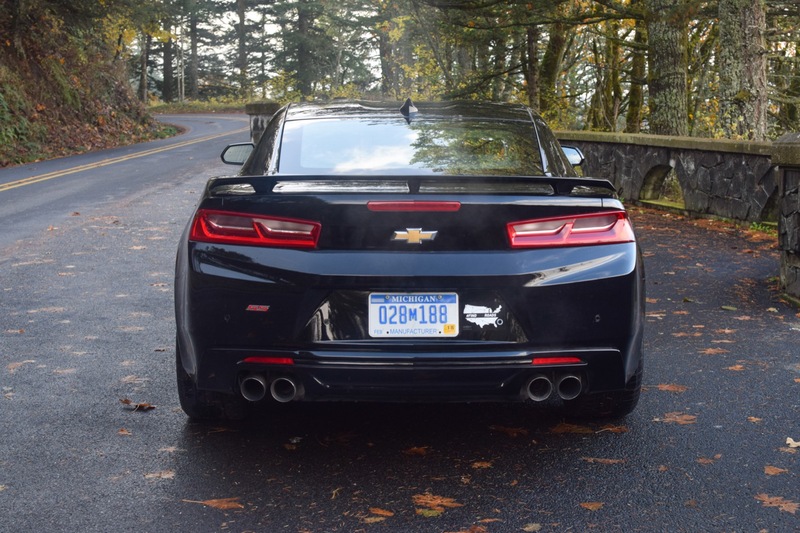 Keep in mind that the only similarities between the all-new, sixth-gen 2016 Camaro and fifth-gen 2015 Camaro are the rear SS bow tie and SS badges. 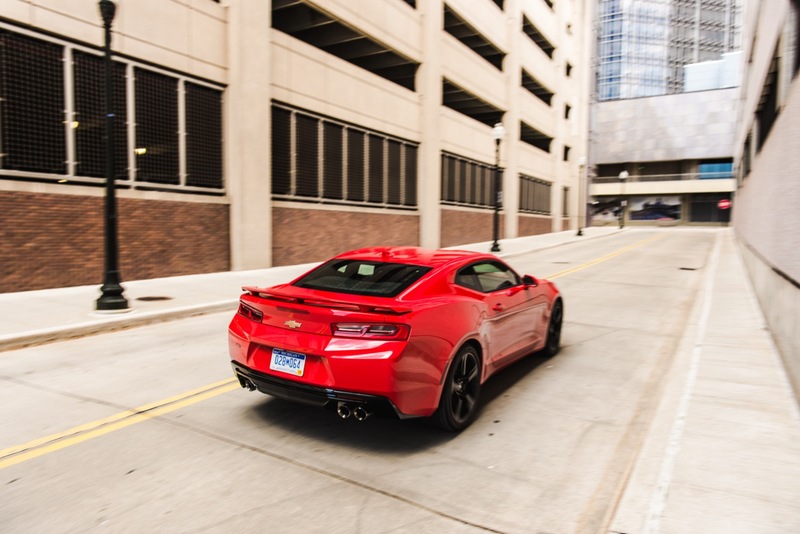 To us that just means that there is just that much more to be excited about, and the folks in Lansing certainly are. 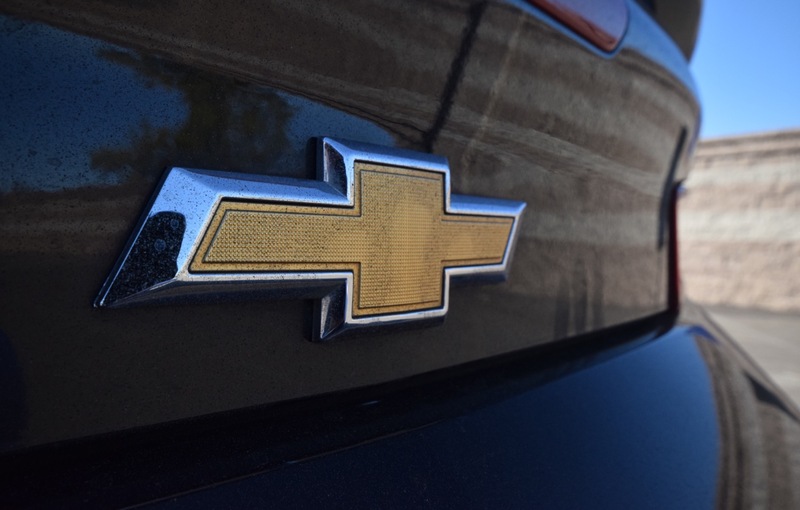 Quick side note: Re “What’s more, the 3.6L V6 LGX It is also the first GM six-cylinder with Active Fuel Management…”, the 2007 and 2008 Impala with the LZ8 and LZG 3.9 L V-6’s had Displacement on Demand / Active Fuel Management. 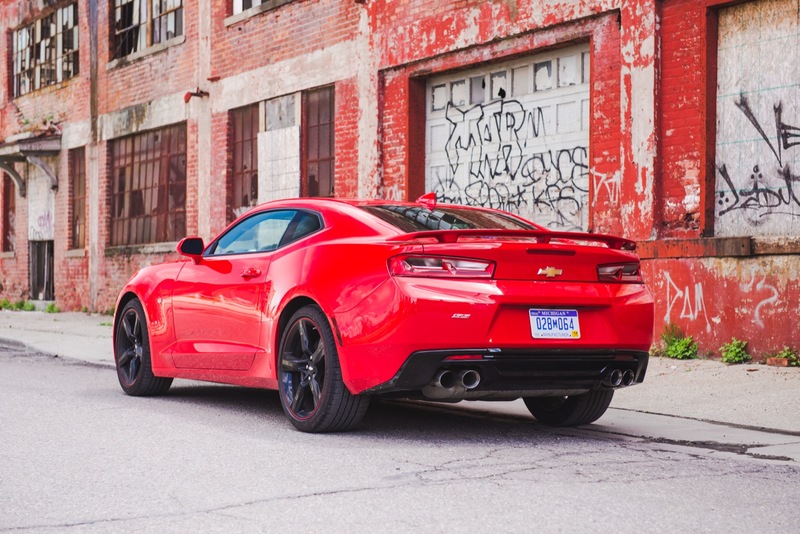 Correct – and a worthy correction. 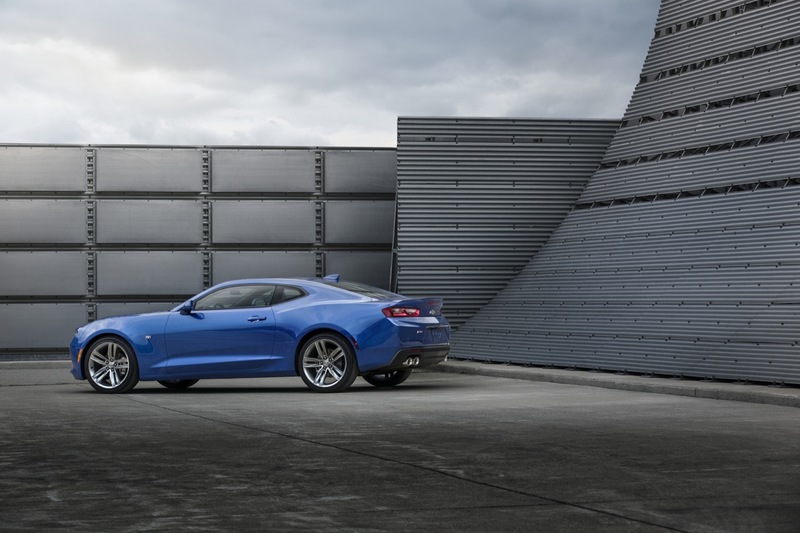 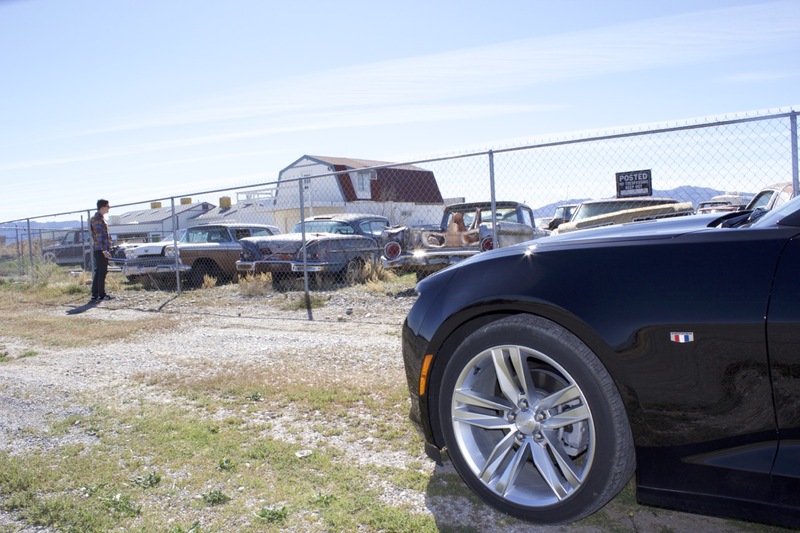 But it’s safe to say that GM has improved from the AFM knocking that affected Impala V6’s – even more than G8 GT’s. 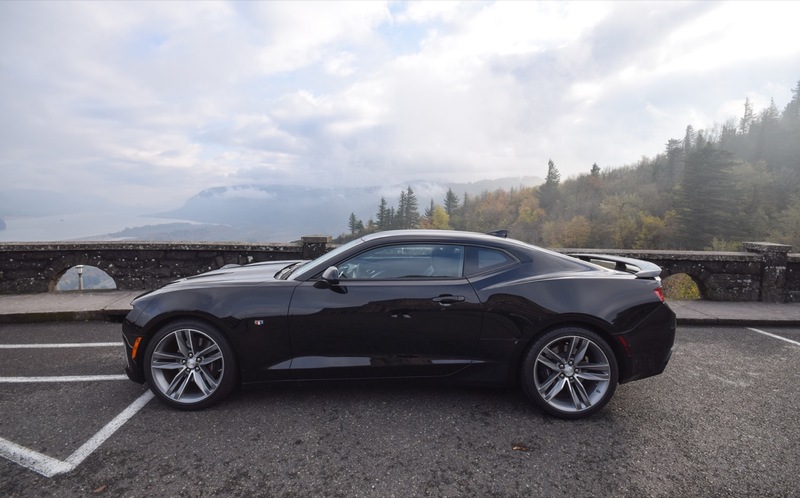 I suspect that’s the reason that none of the LY7’s received AFM in ’08 and ’09. 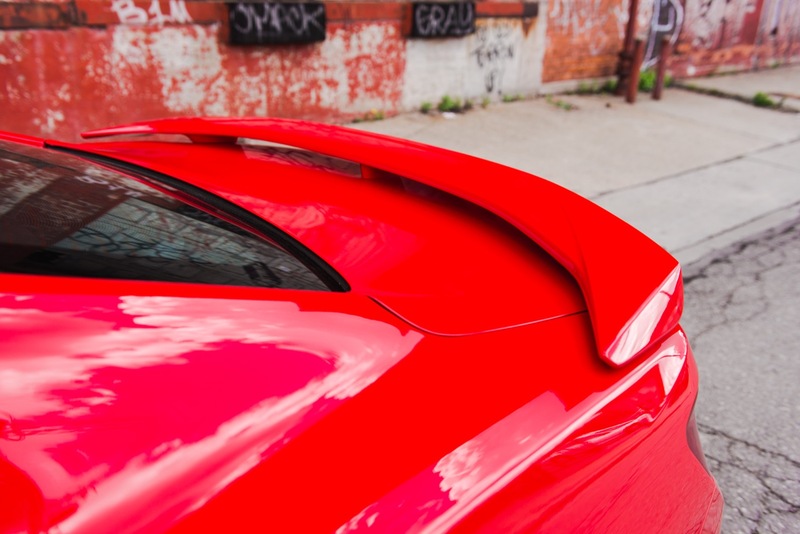 Thumper, thanks for the note. 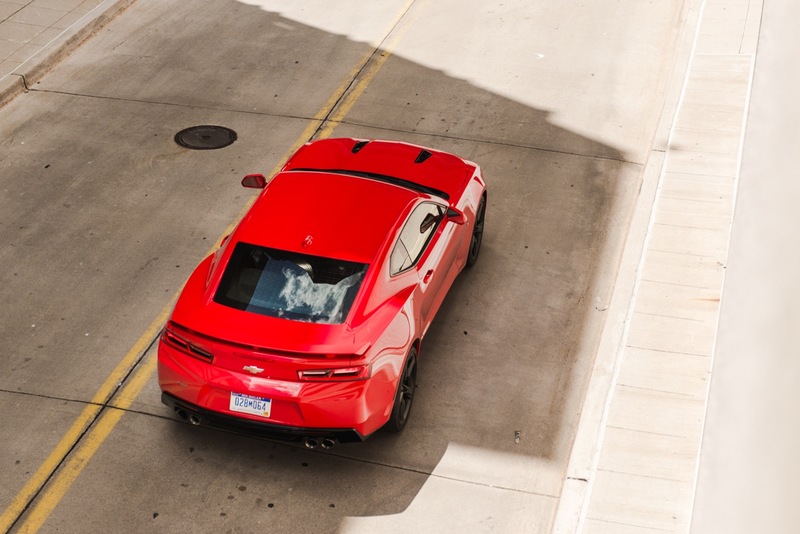 We omitted the fact that the LGX is the first GM six-banger with a DOHC set-up to have AFM. 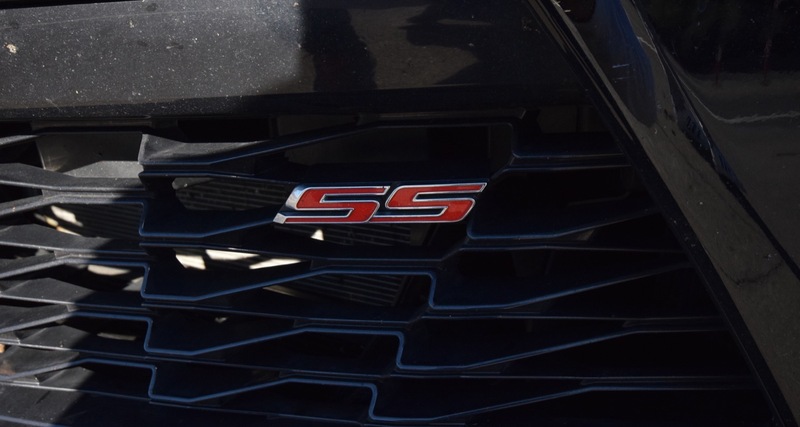 Fixed. 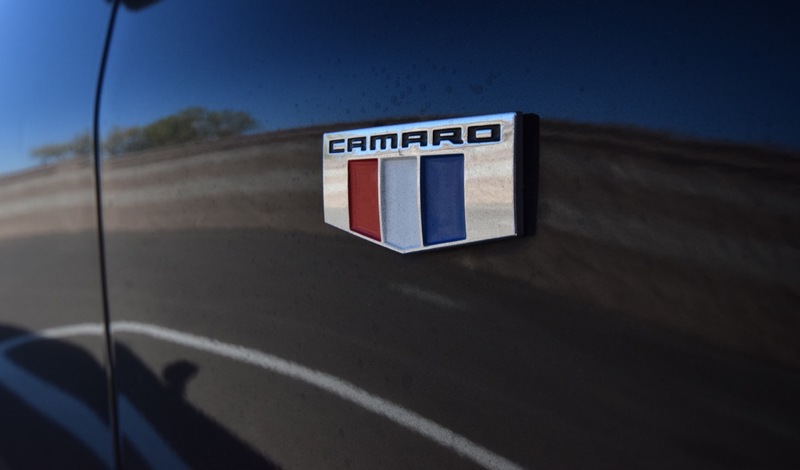 I’m not certain but I thought the new 4.3l v6 in the Silverado’s had AFM as well? 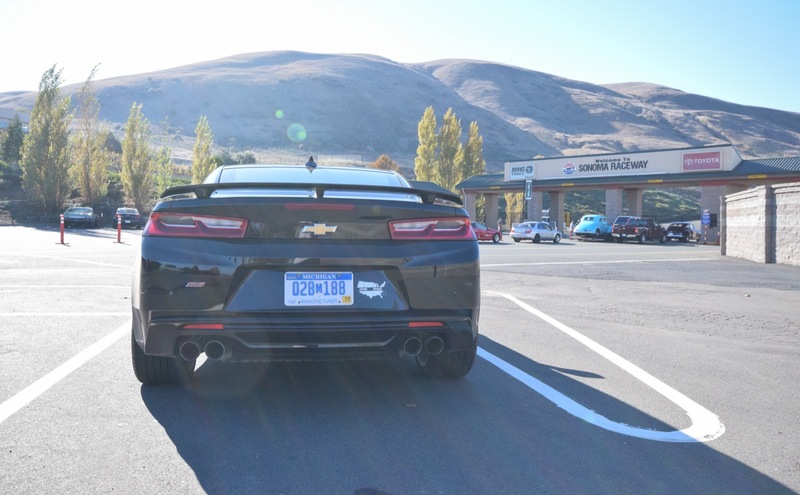 just remembering when the vette first came out and everyone bitching about the camaro lights it had, now the camaro has vette lights, no complaining ? 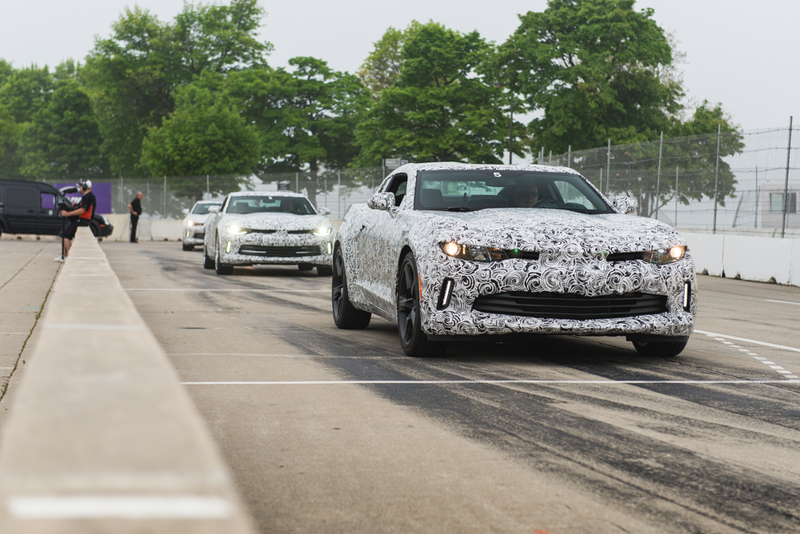 Yes, but the Camaro team has said they have learned to listen to the silent majority a lot more. 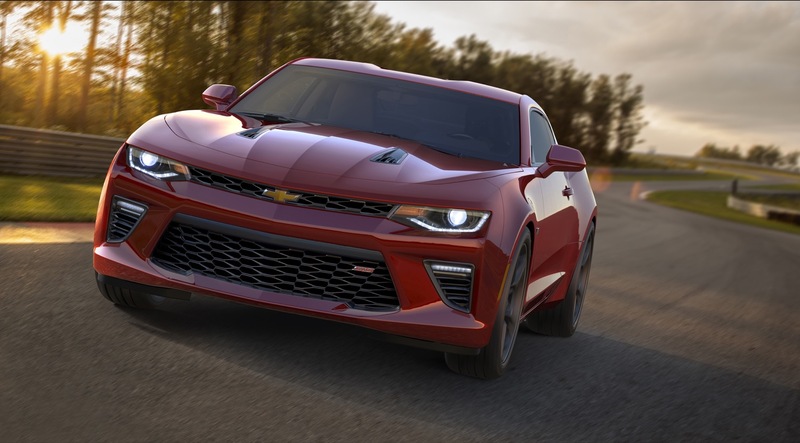 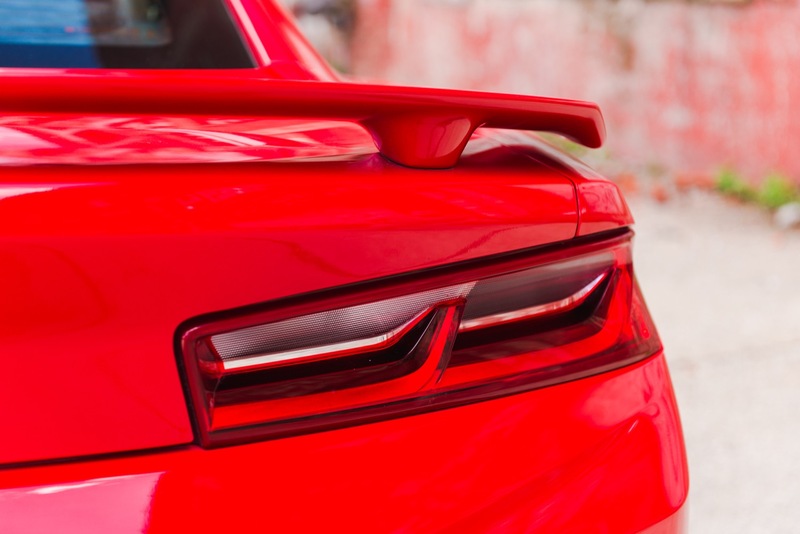 The Camaro team received the strongest criticism when it dropped the quad-lights during the 5.5 refresh. 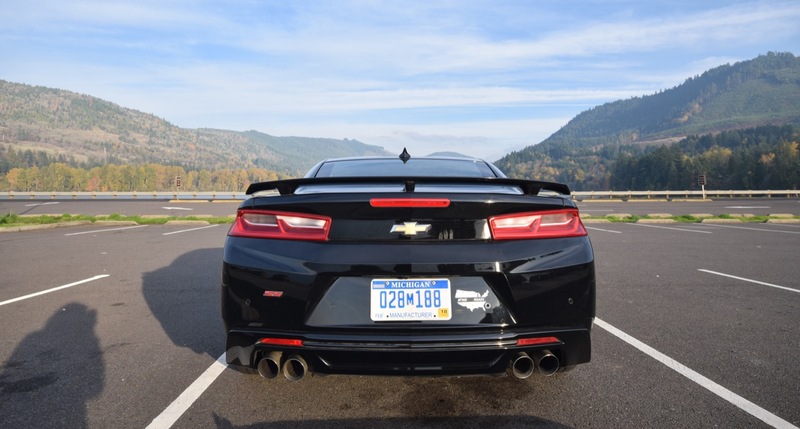 Using the Corvette lights as a basis for Gen 6 was logical, seeing as the original Gen 5 taillights were so highly praised. 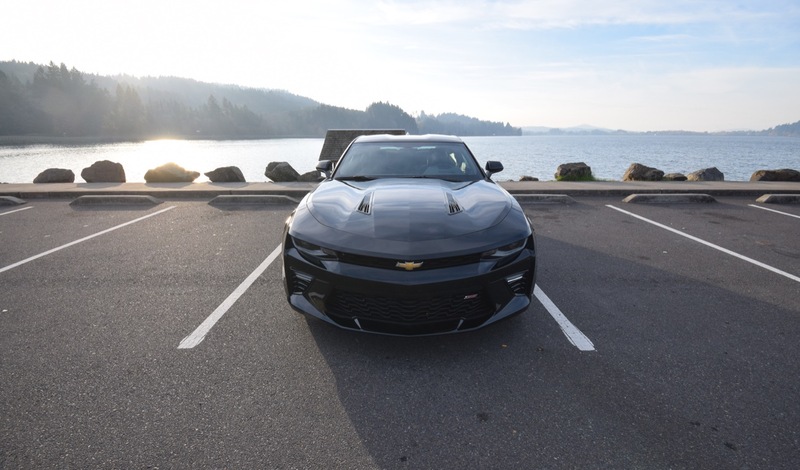 I wouldn’t exactly say having a 4-cyl in a Camaro is “biggest buzz”. 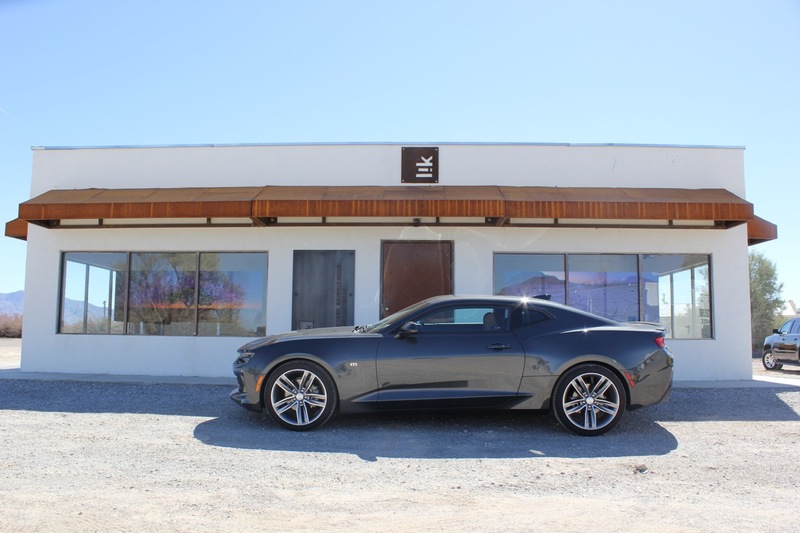 More like the unwanted but necessary addition due to government cafe regulations. 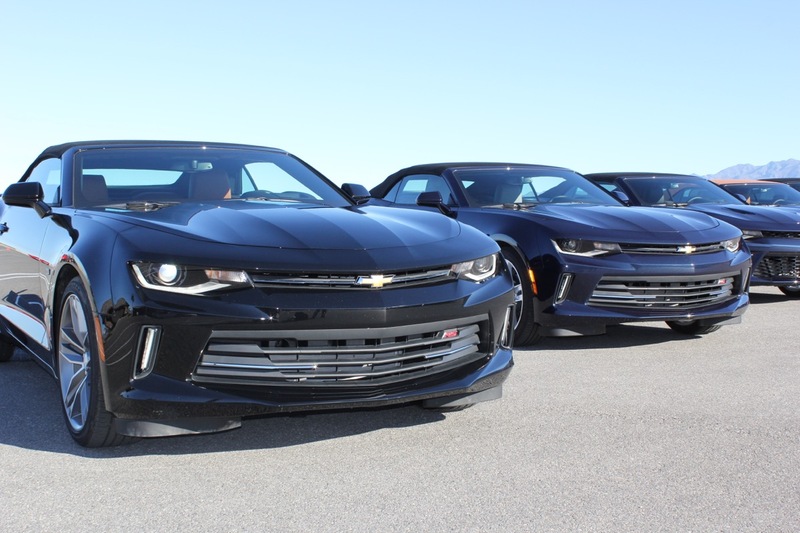 Someone is going to put a fart pipe on one of them and ruin the Camaro sound and experience. 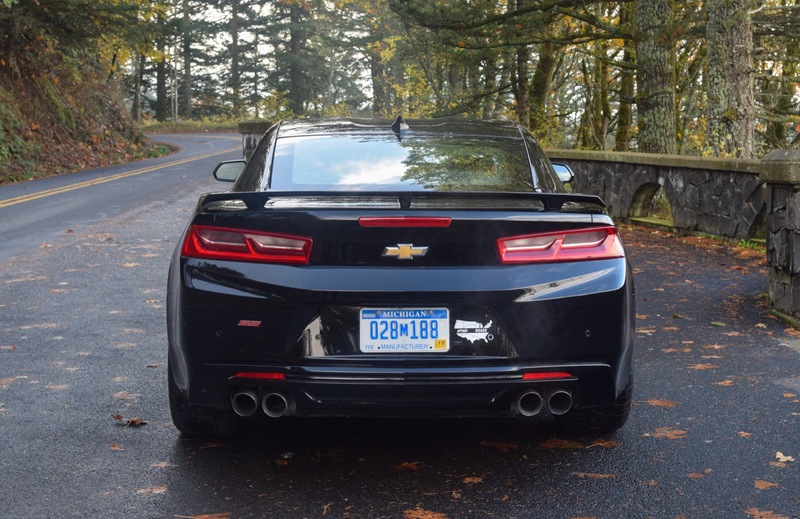 None of my fellow Camaro enthusiasts are expressing any desire to see this engine. 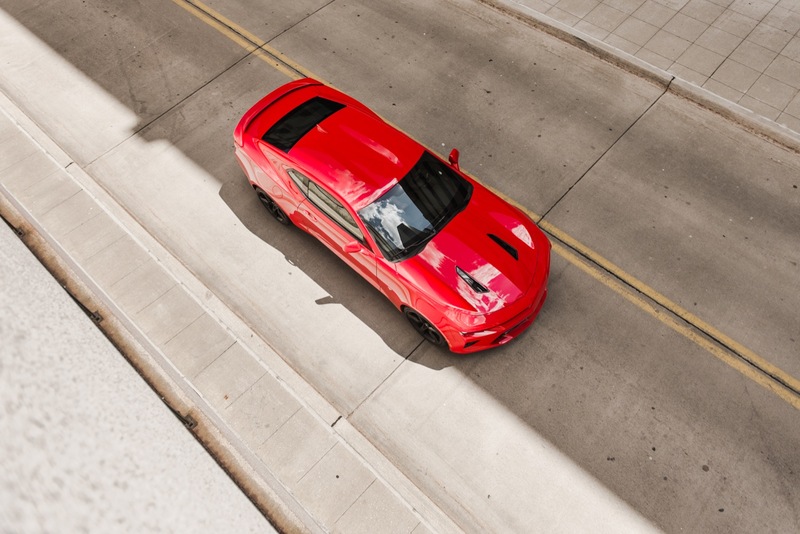 I think that is for them tuner guys. 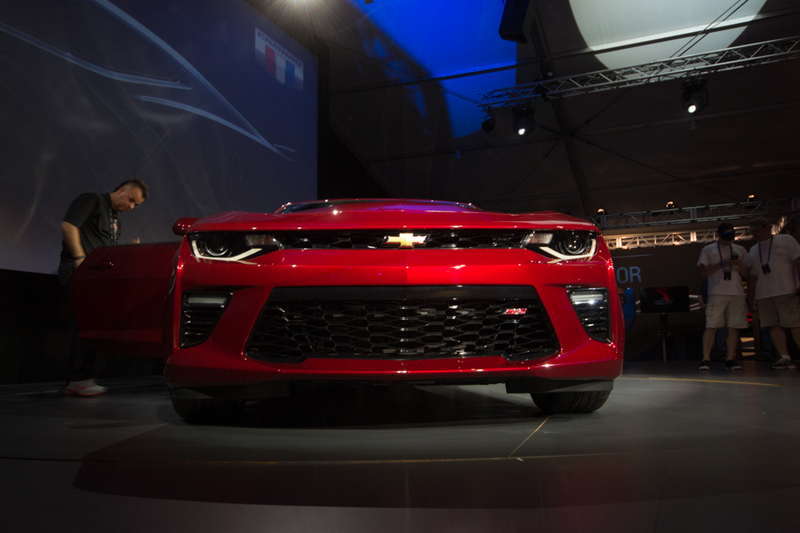 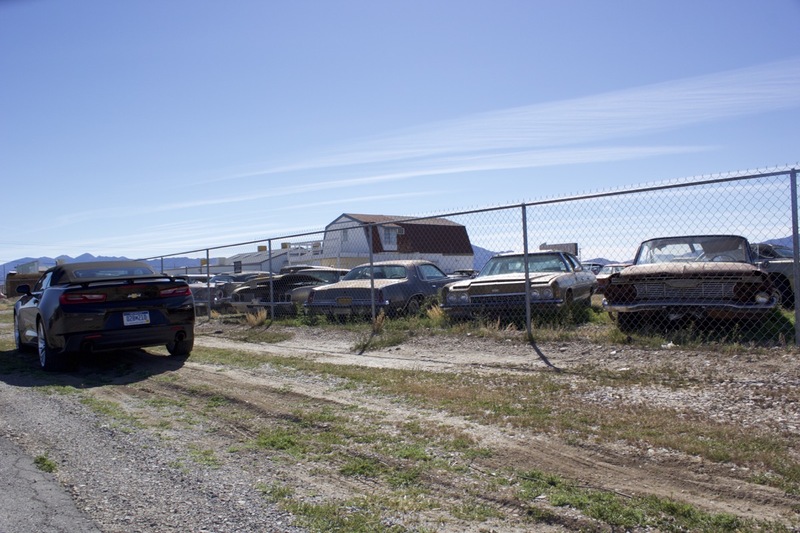 once they come look at The overwhelming awesomeness of a Chevy. 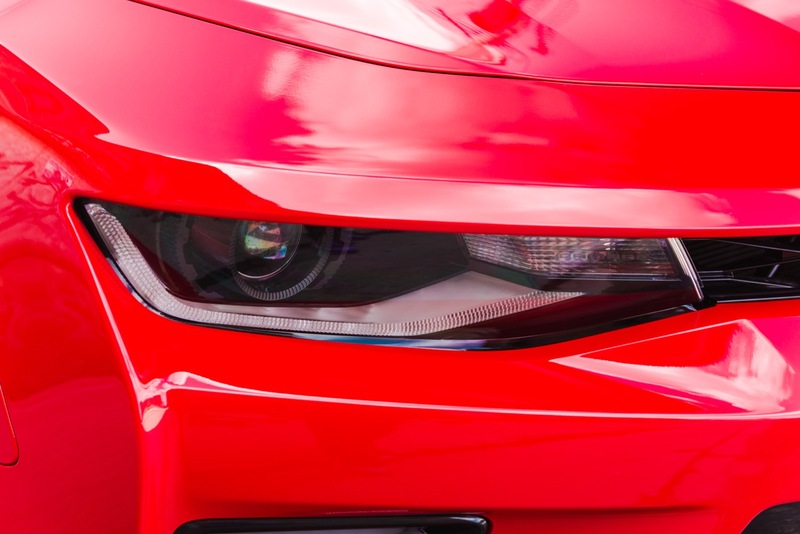 they will forget about all those offbrand Rice rockets. 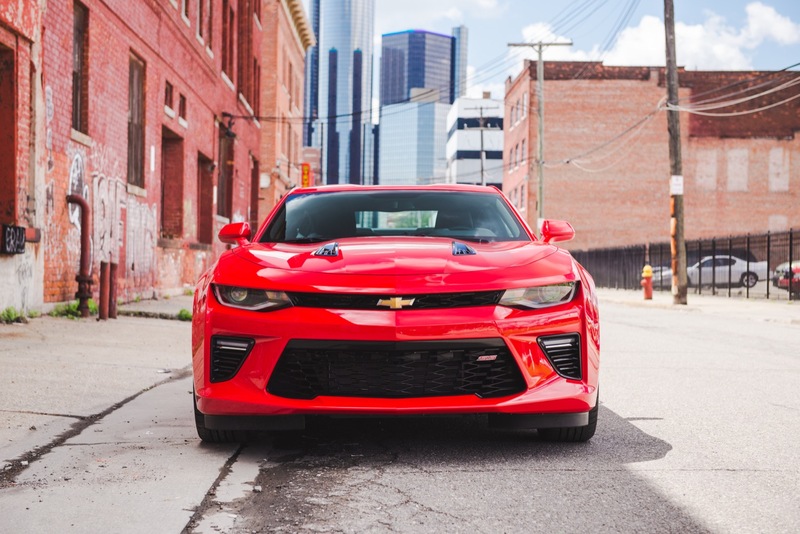 I drive this engine daily in my Sky Red Line (yes, LNF and LTG aren’t the same, but aside from a few recalibrations and a bit more aluminum, it’s the same). 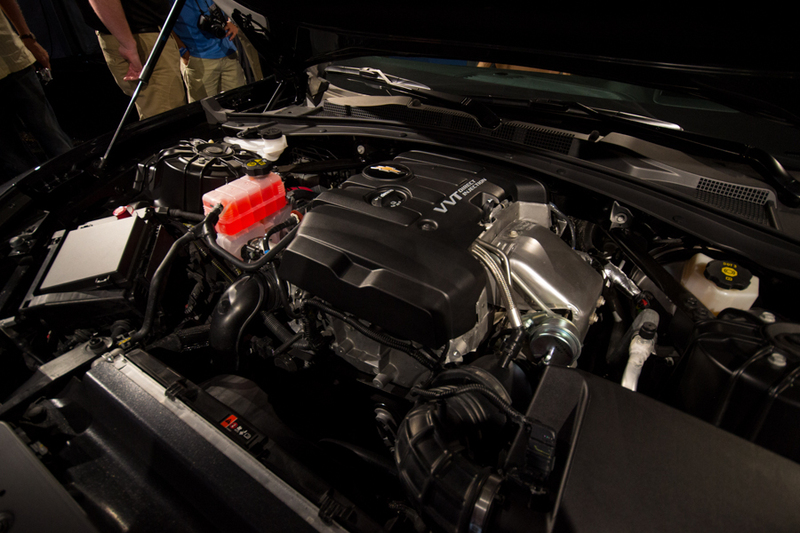 It’s an amazing engine. 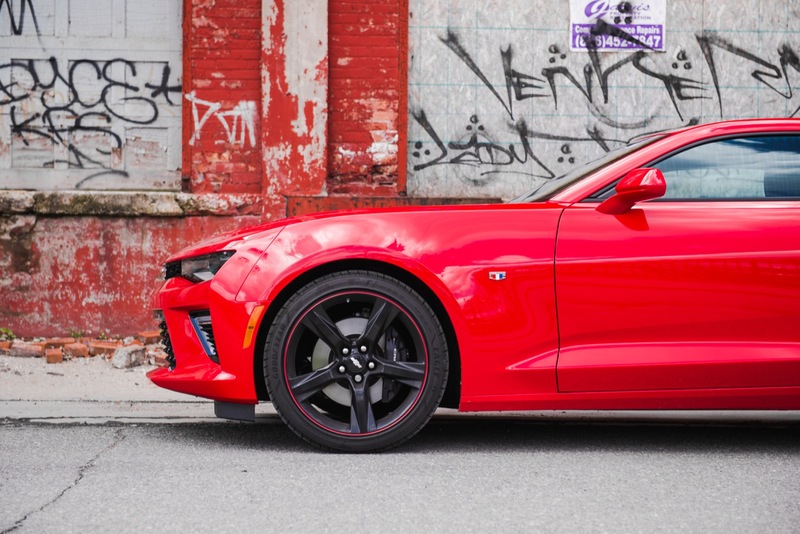 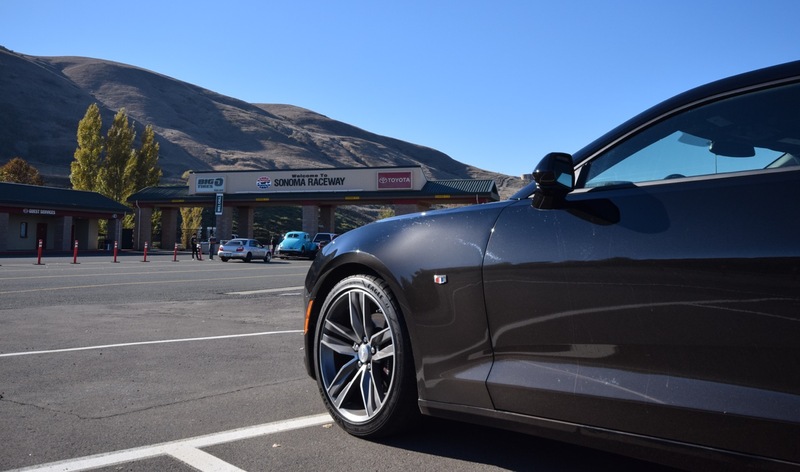 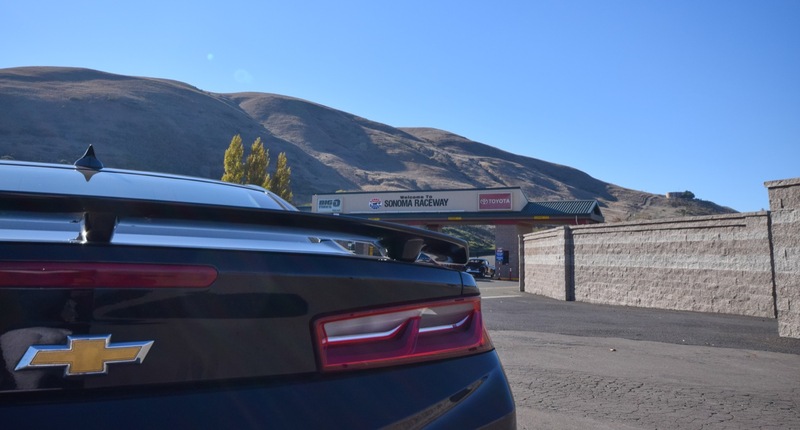 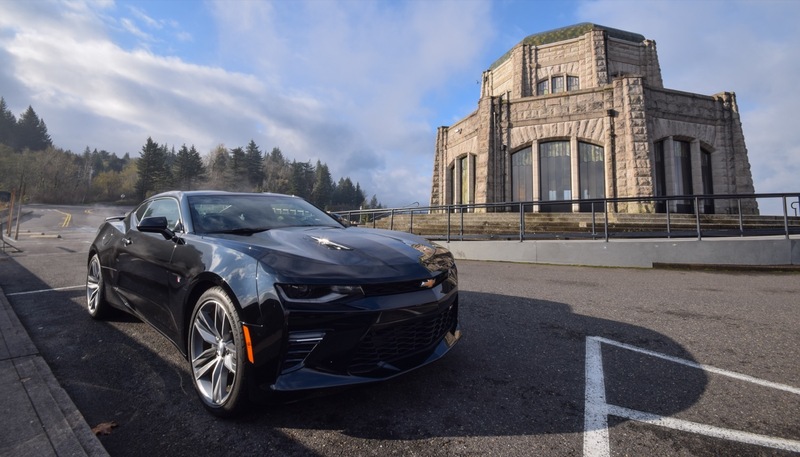 The 2.0T opens the door to the Camaro serving customers who want torque and affordable horsepower. 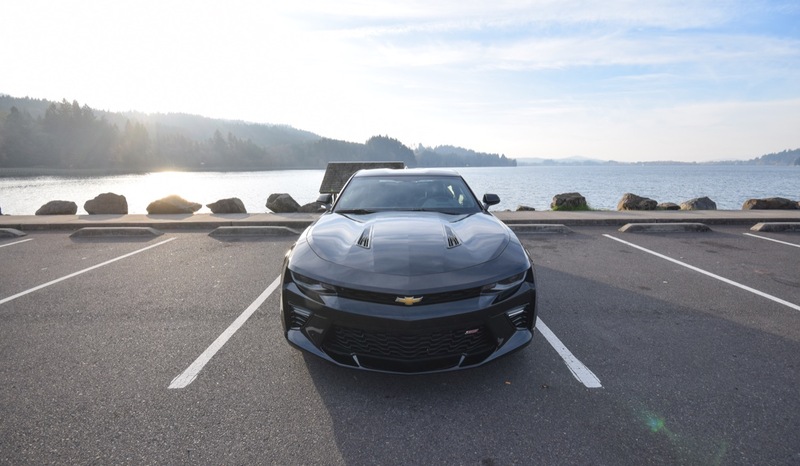 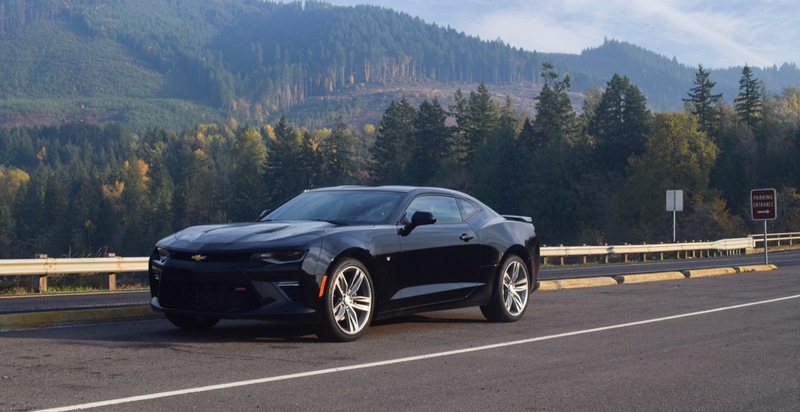 It’s a solid engine and it’s fast enough for about half the people that buy a Camaro – the people that want something more sporty than the average car. 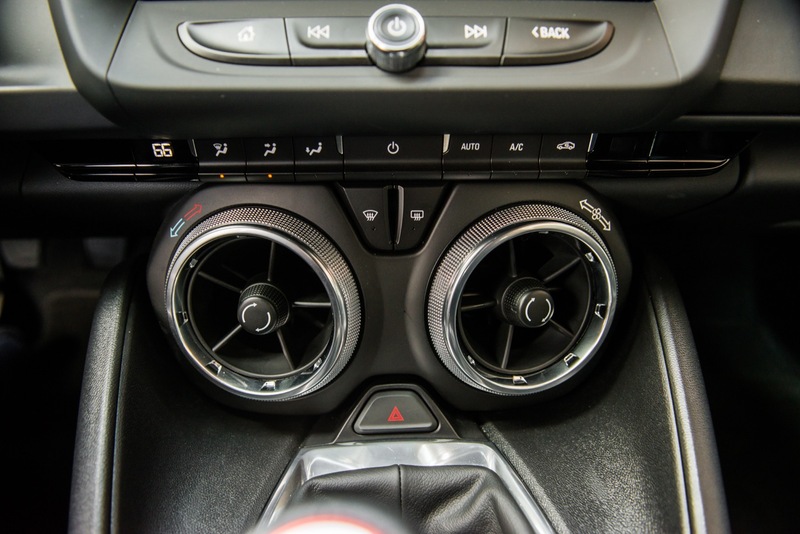 For tuning, it’s not that great actually. 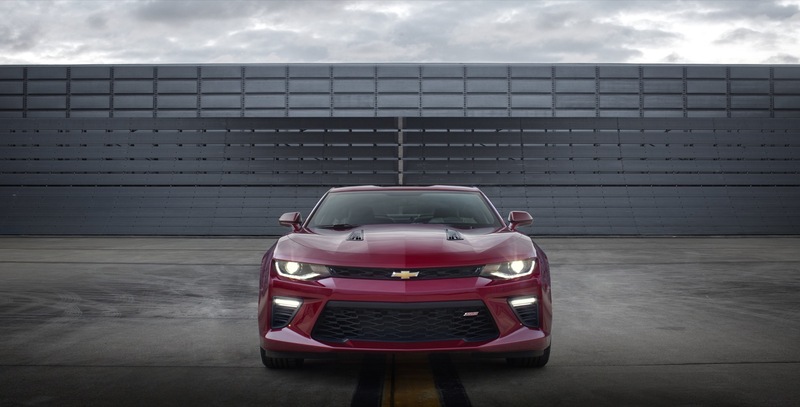 It may not be easy to twin-turbo and GM has the ECU locked down – the warranty can be easily voided the minute you touch it. 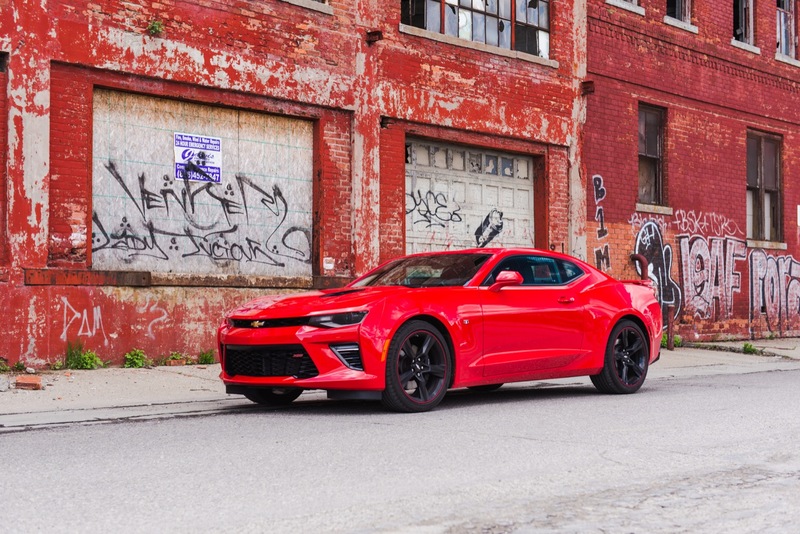 But it is great for people who can barely afford a Camaro. 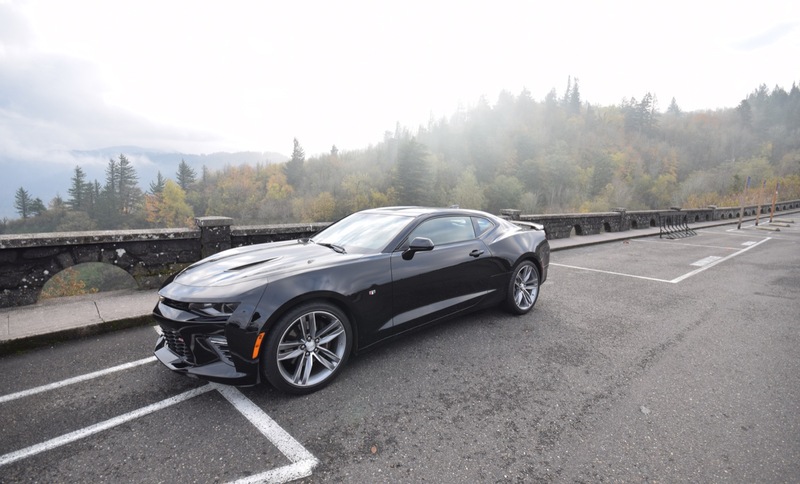 I prefer the V6 for the Camaro, but only because I run cars into the ground… I would go with the 2.0T if I was leasing.